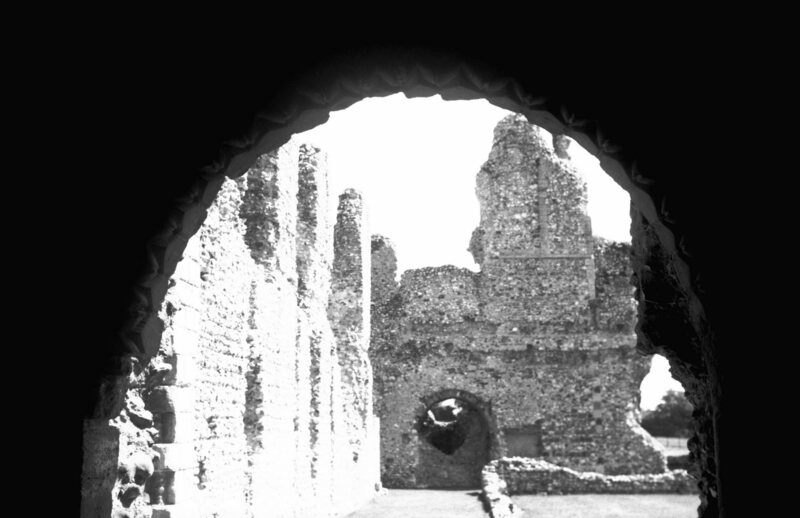 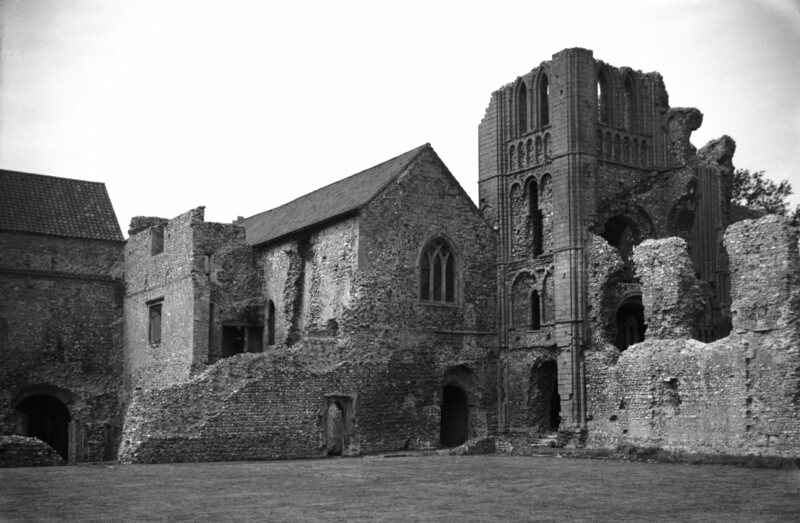 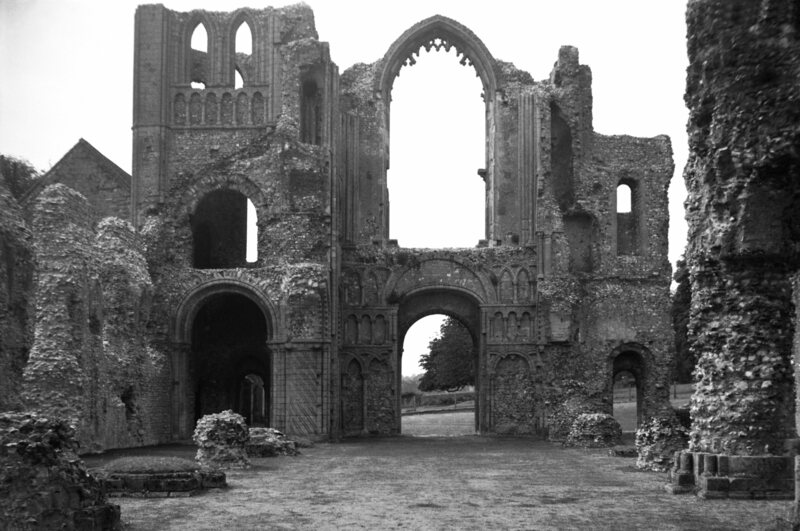 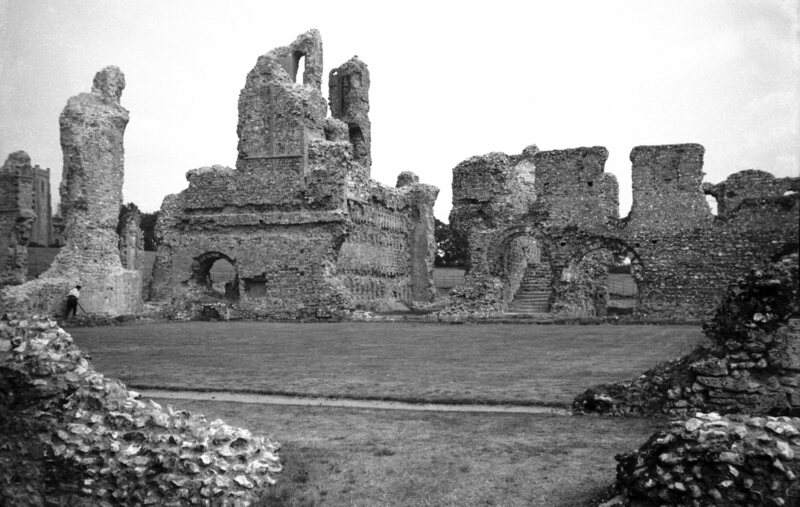 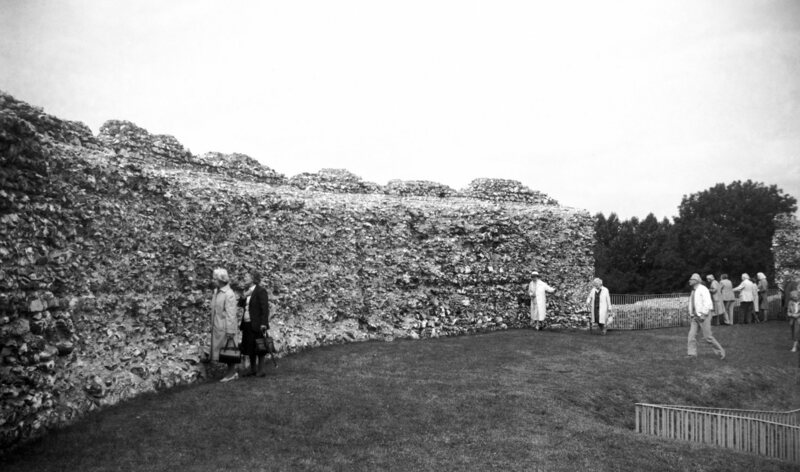 Built about 1435 by Sir John Fastolf, the ruins form one of the finest pieces of mediaeval brickwork in England. 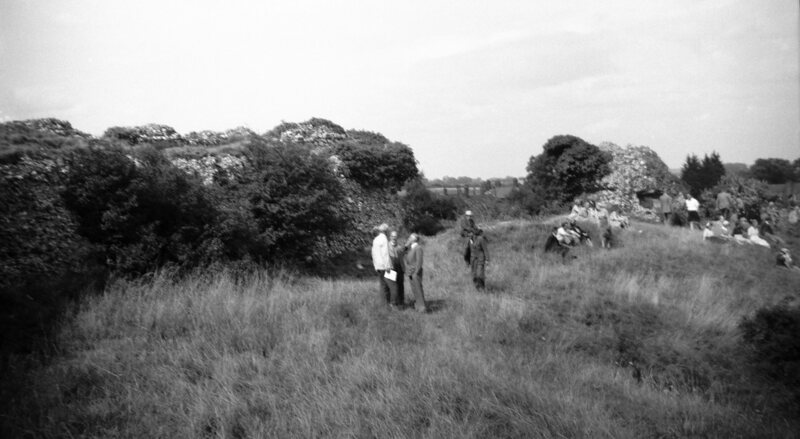 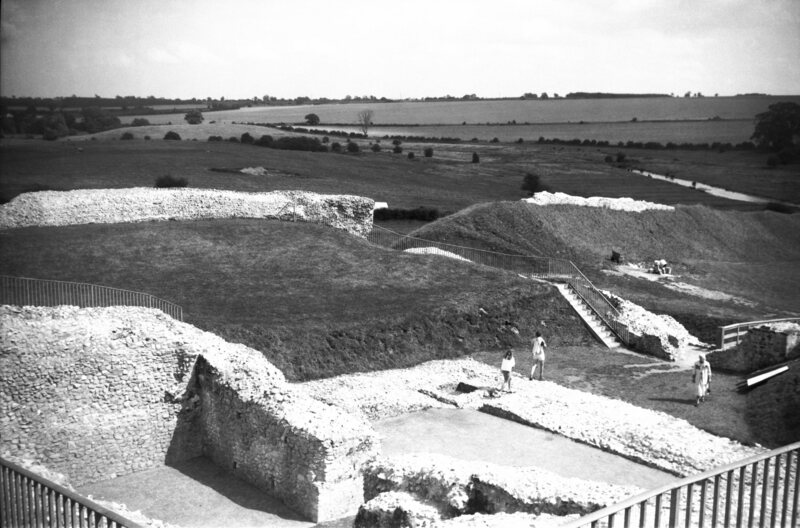 1951 excavations. 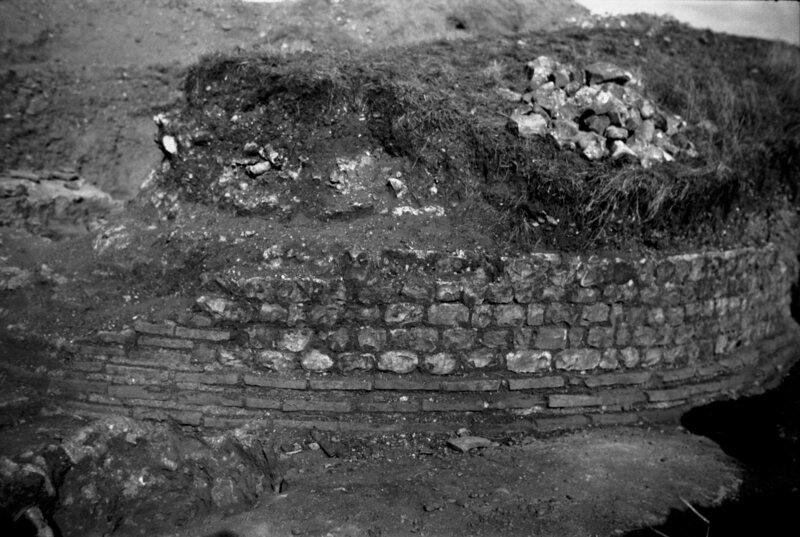 Foundations of later construction on top of those a century or so earlier. 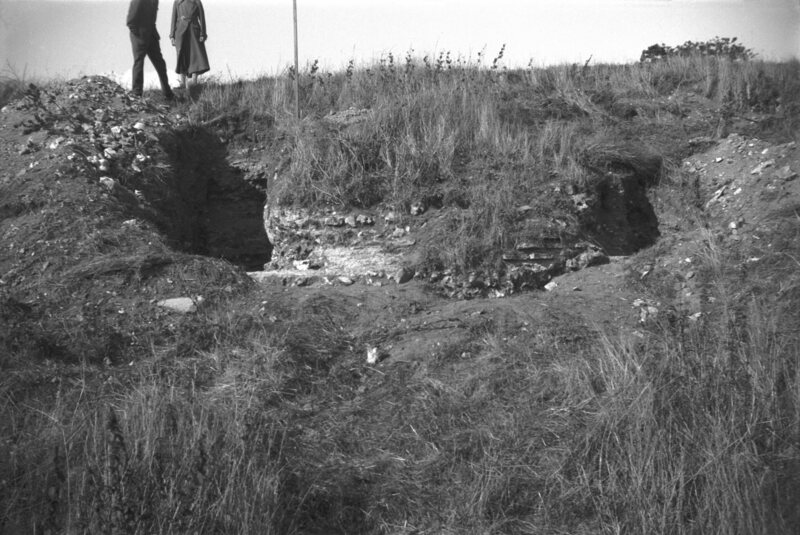 1951 excavations. 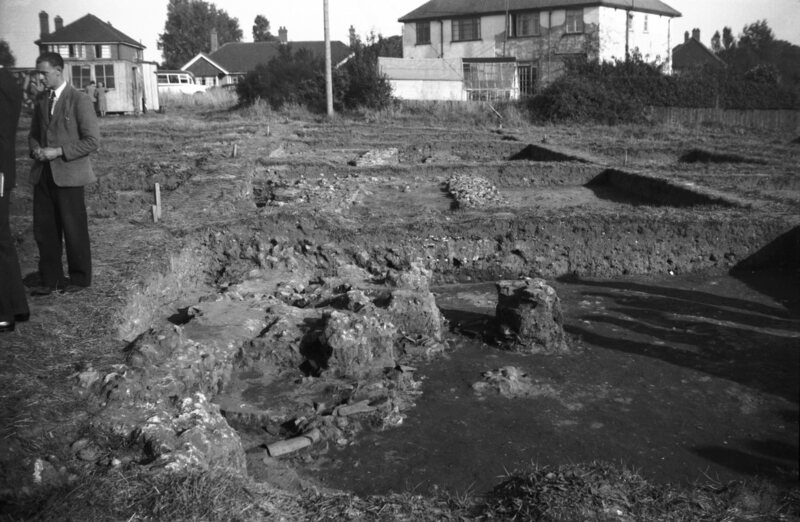 Incorporated into foundations. 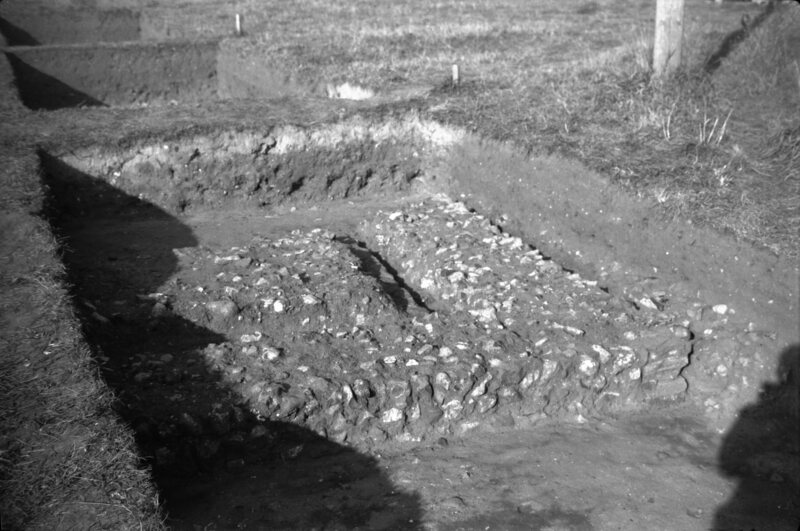 1951 excavations. 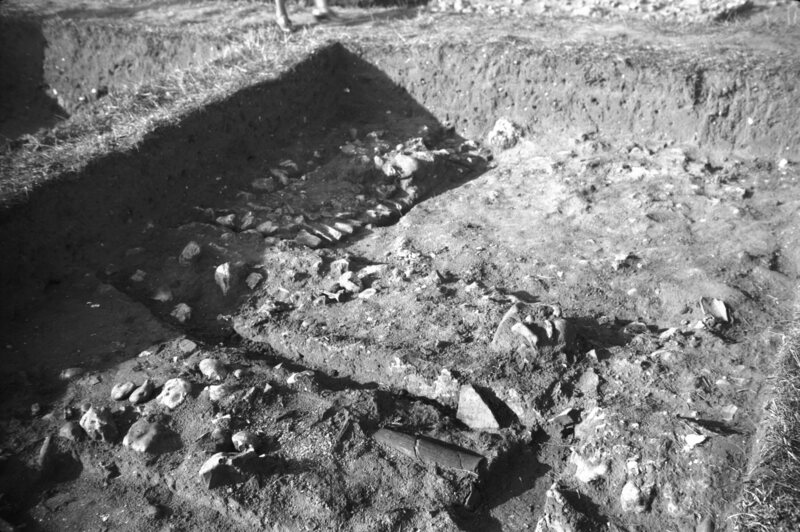 Roofing tiles etc where a skeleton was found. 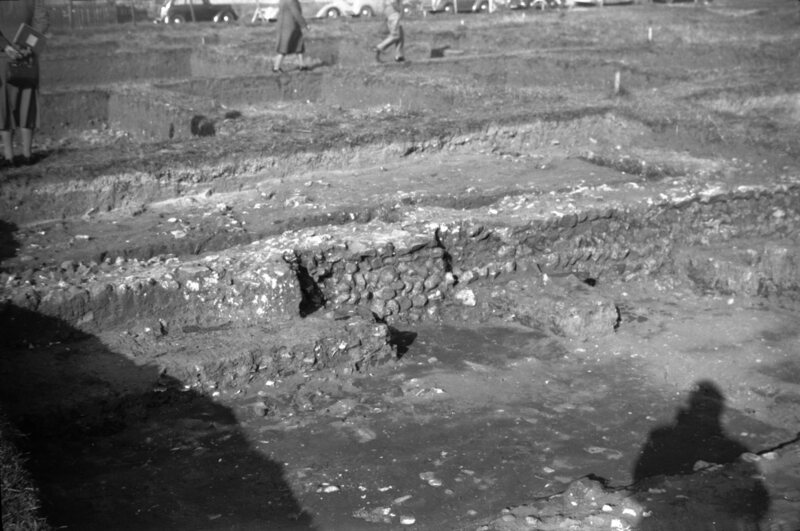 1951 excavations. 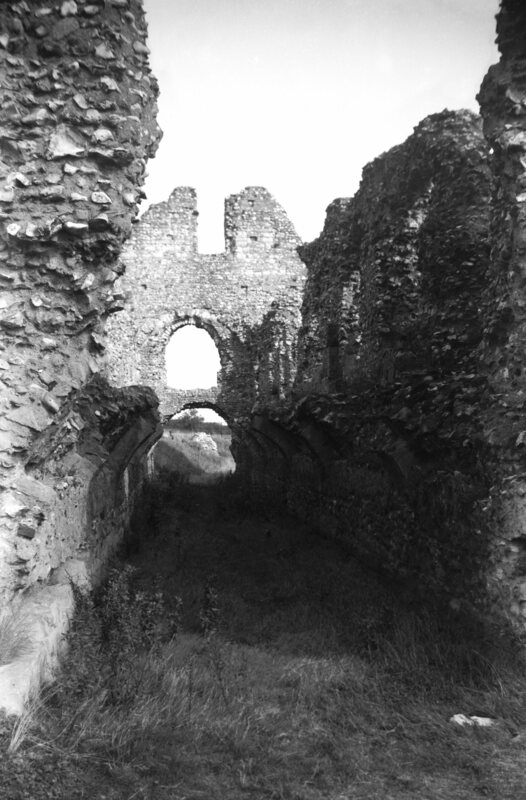 By South Gate. 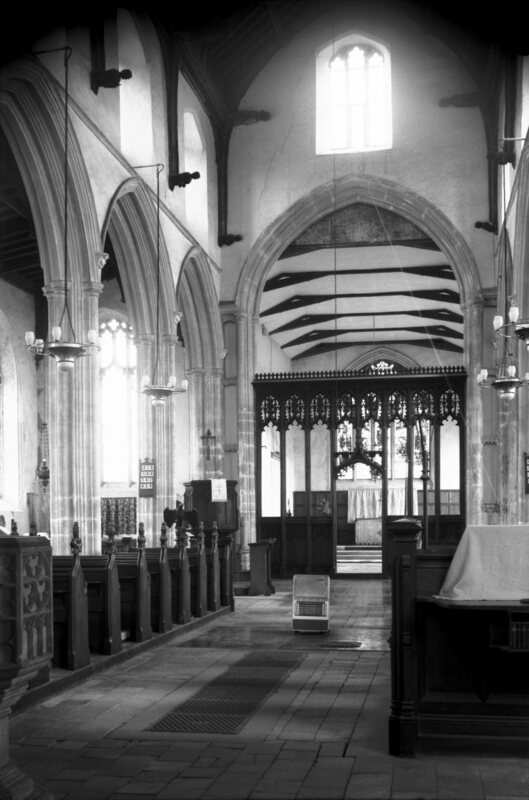 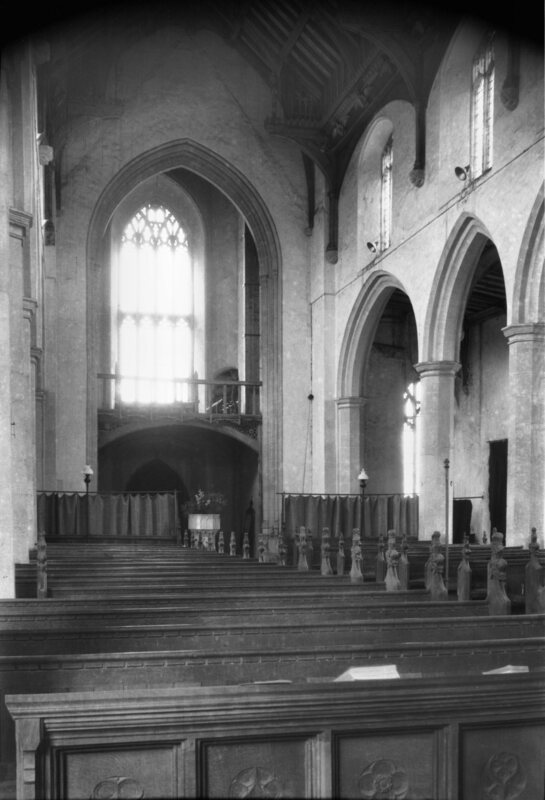 Early 13c nave with south aisle added about 1300. 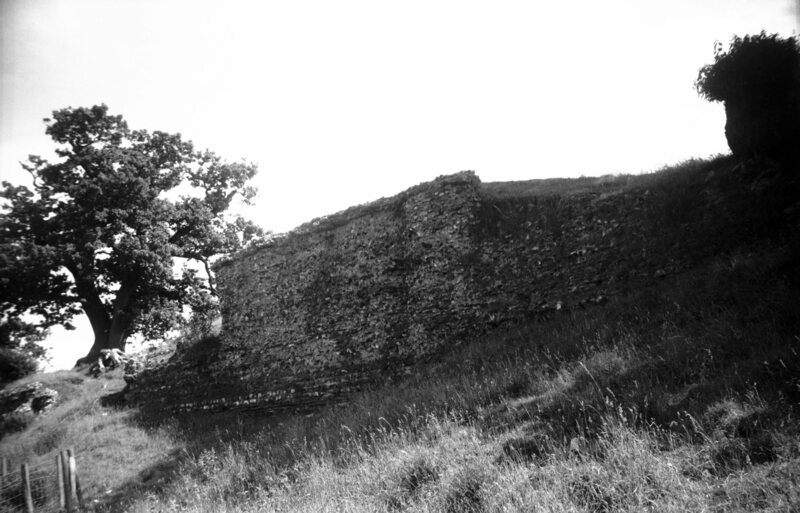 West side of Roman town. 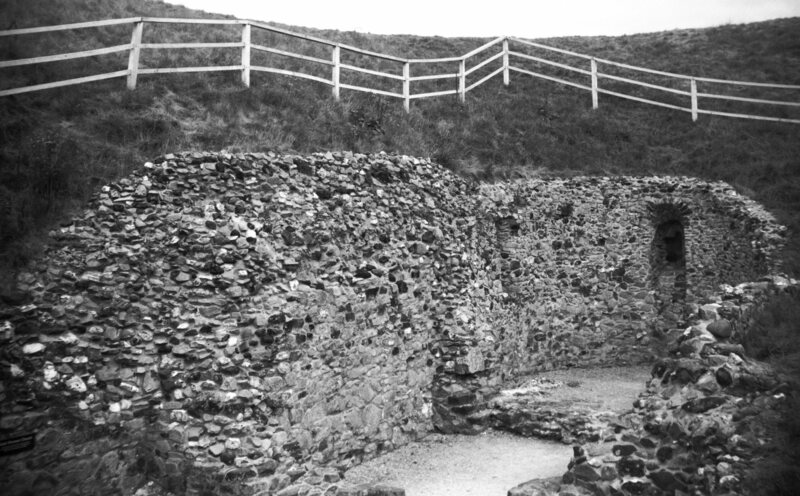 North-west corner of Roman town. 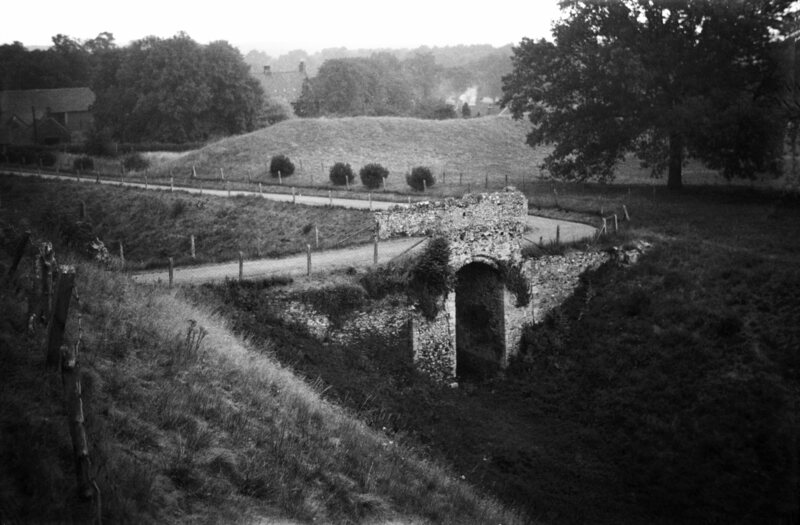 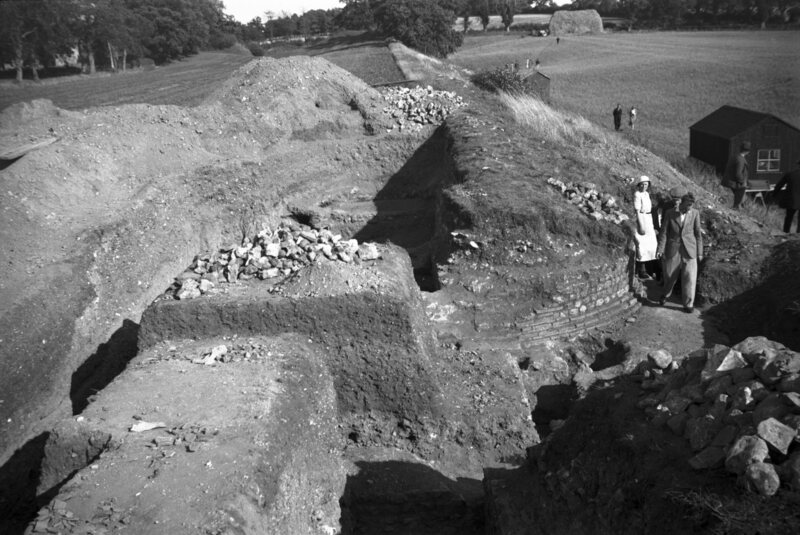 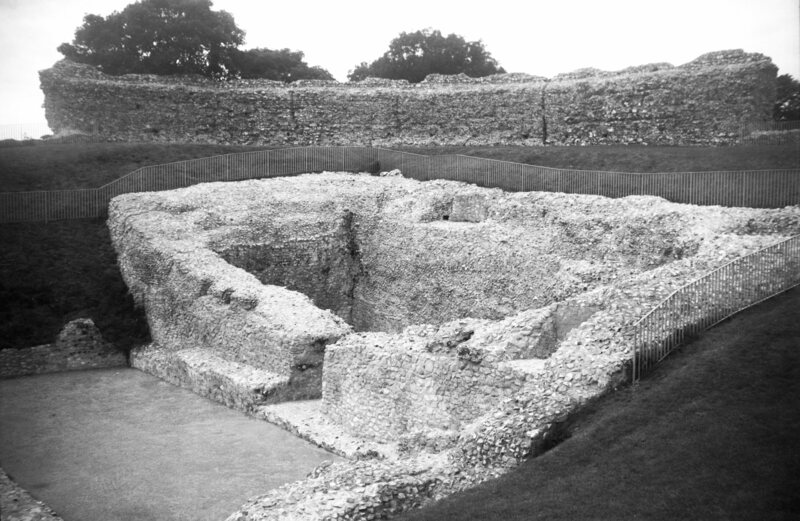 General view of 1934 excavations around the south gate. 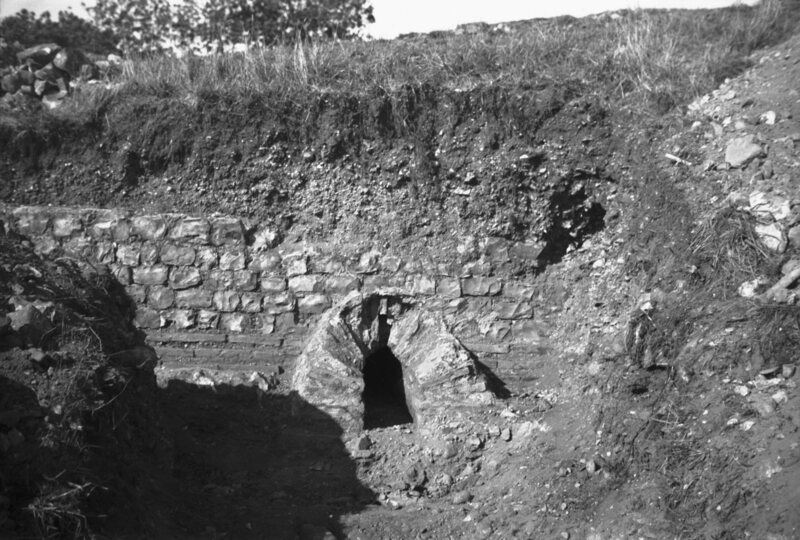 1934 excavations. 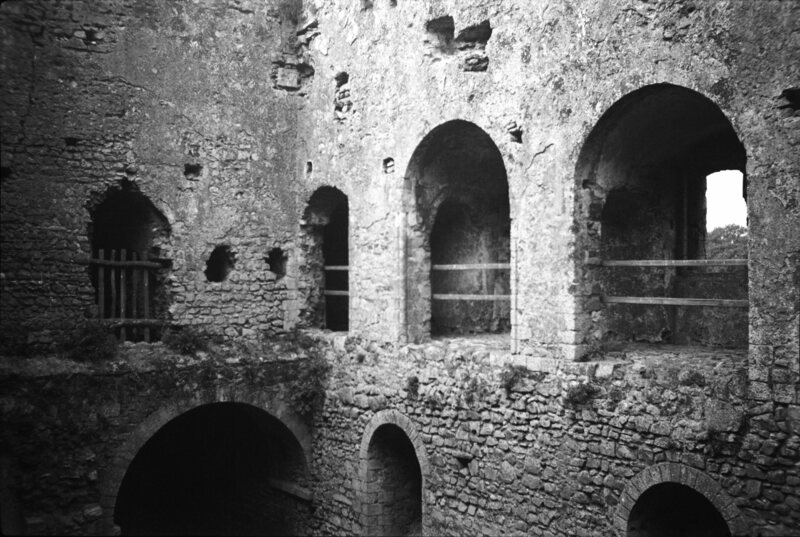 Footings of one of the towers in the wall. 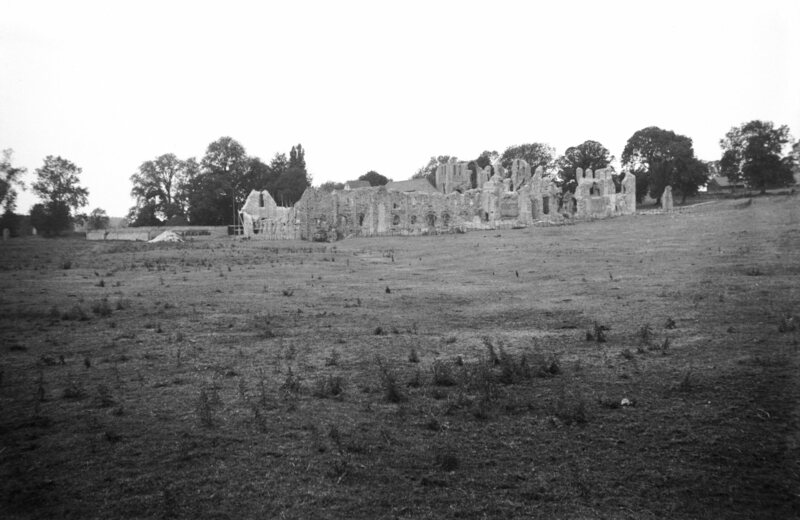 South side. 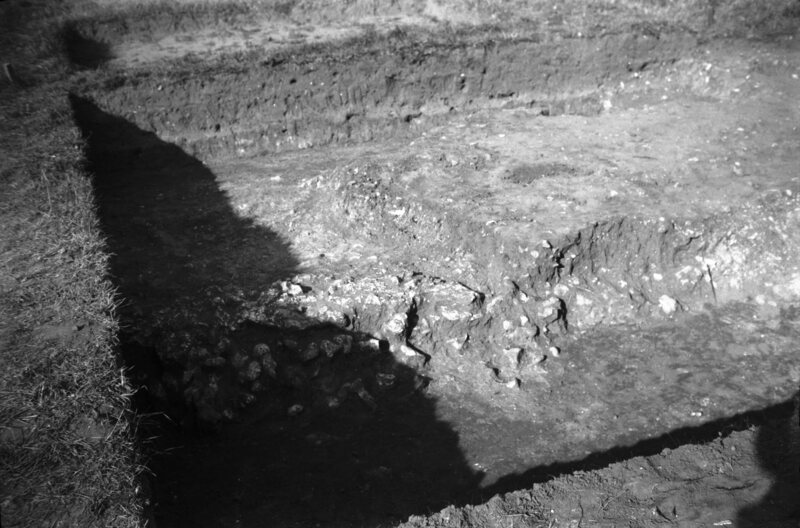 1934 excavations. 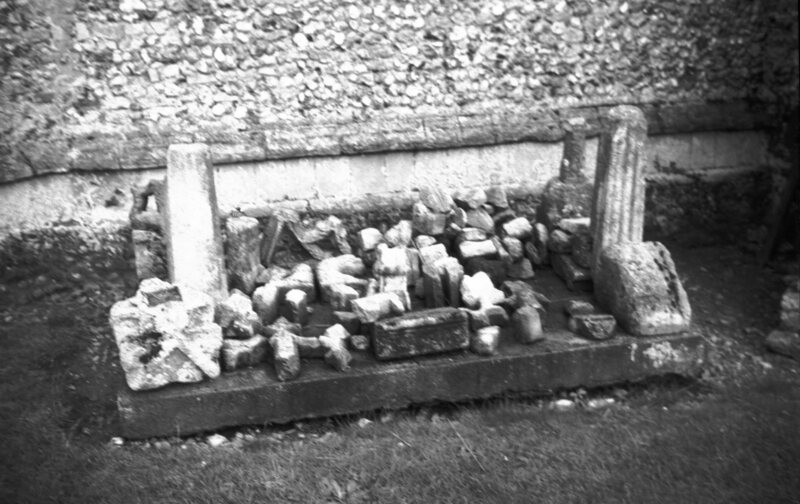 Flint and tile footings of the tower on the east side of the south gate. 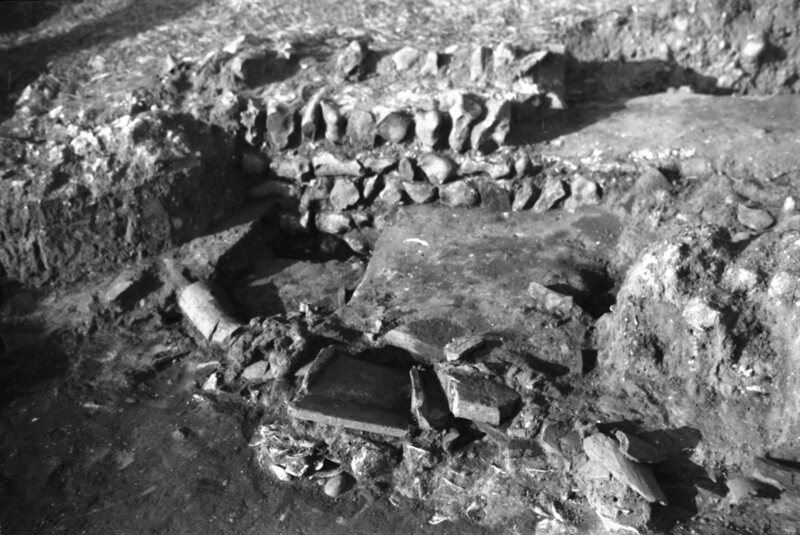 1934 excavations. 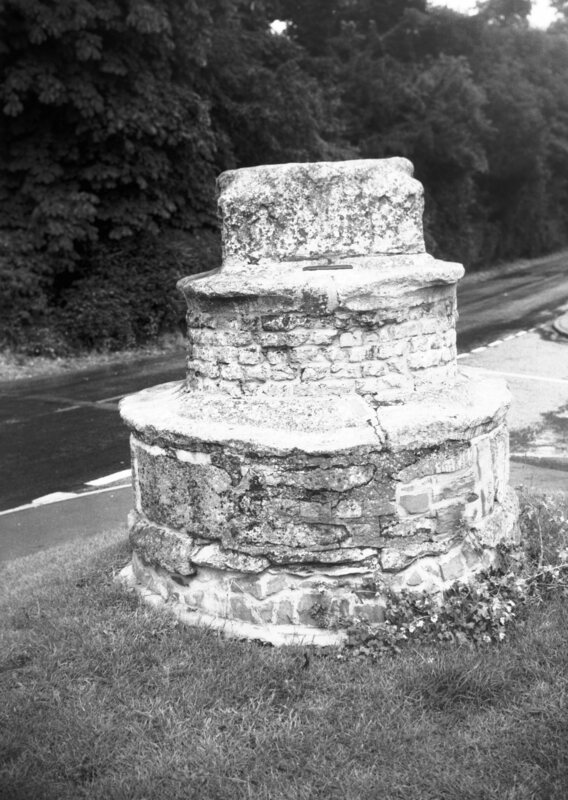 Flint and tile footings of the tower on the east side of the south gate. 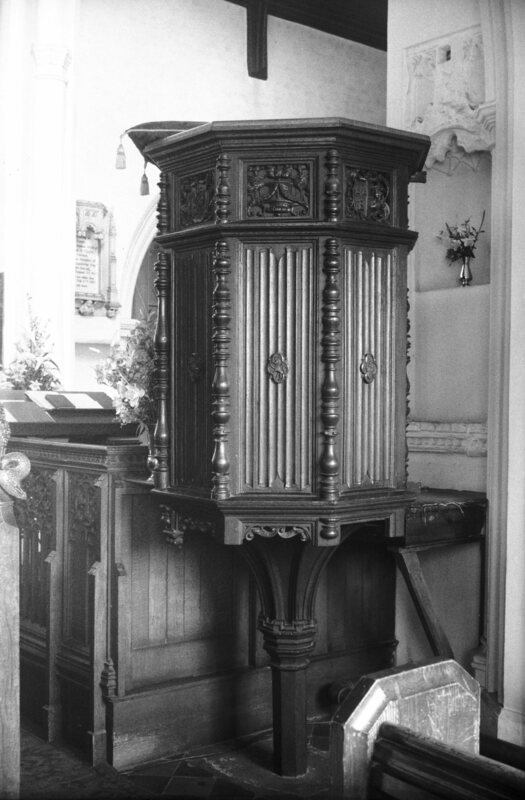 With a drain opening. 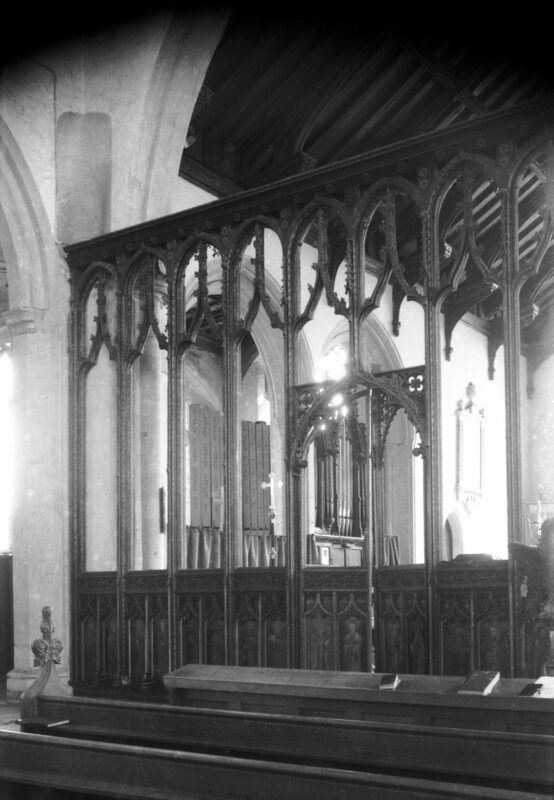 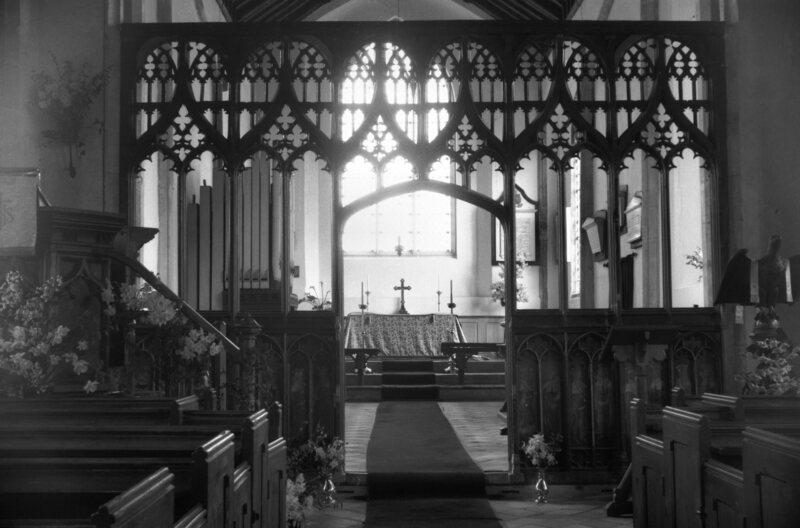 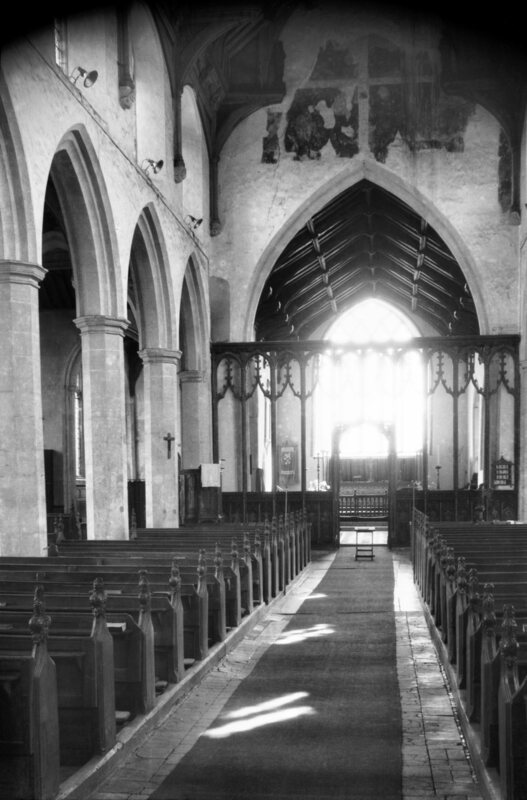 Early English chancel but with east window of 1822. 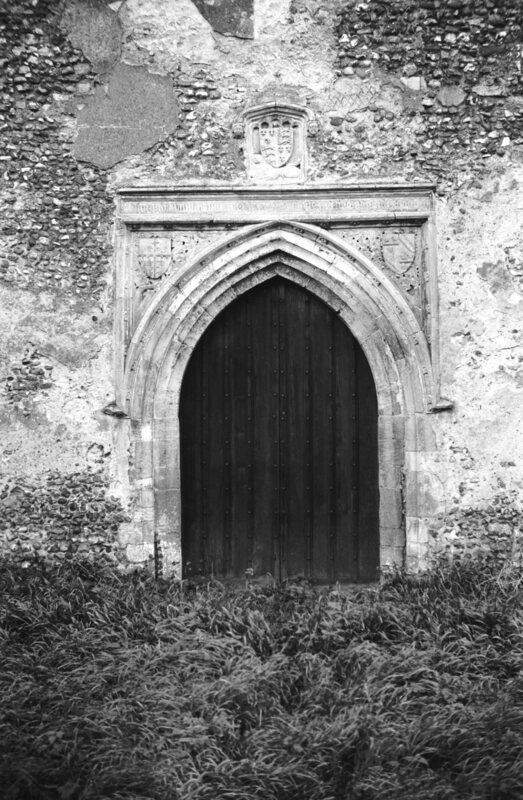 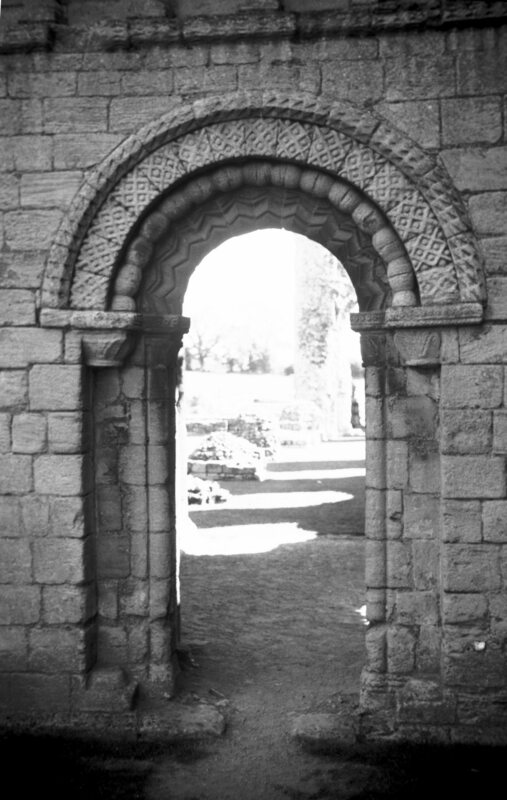 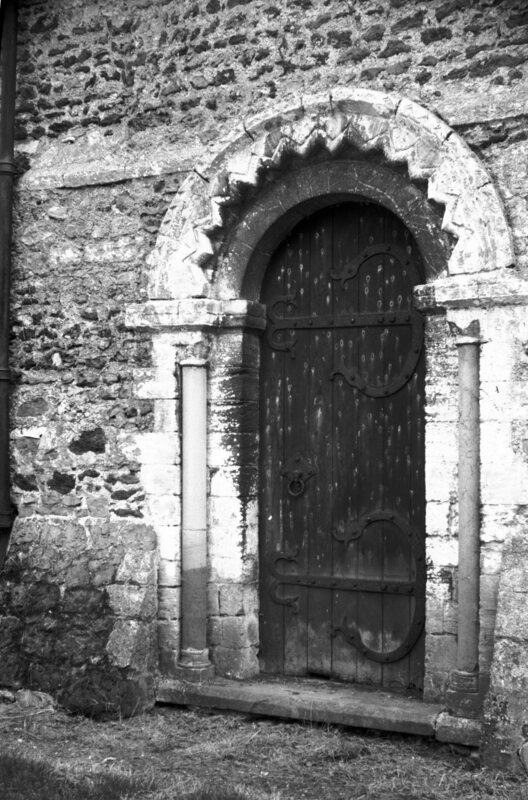 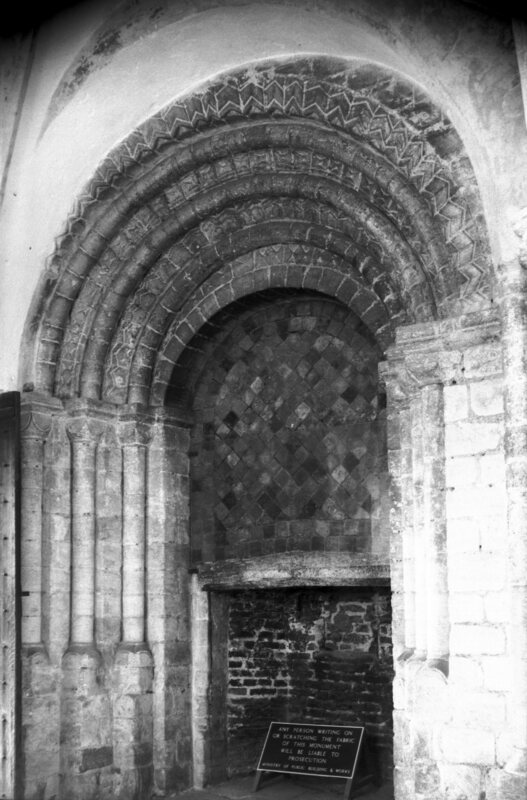 Priest's door on south side of chancel with re-set Norman zigzag moulding. 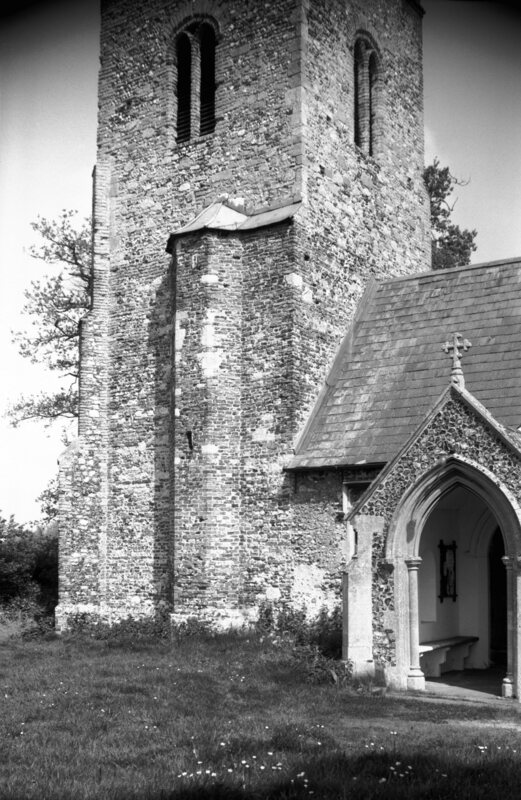 Tower built 1713, and porch. 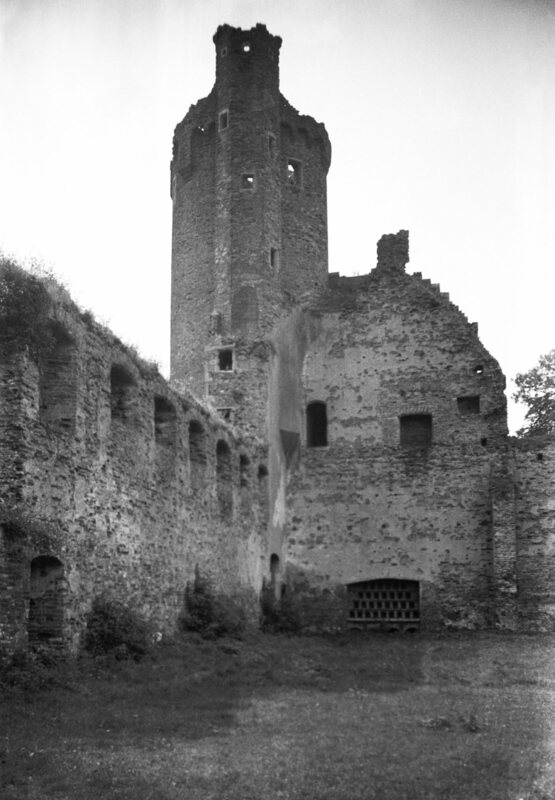 14c west tower with flushwork on its east face. 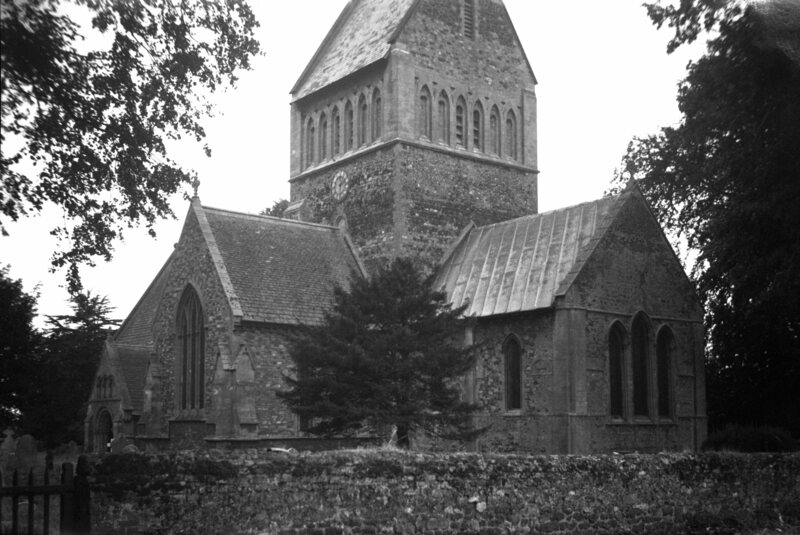 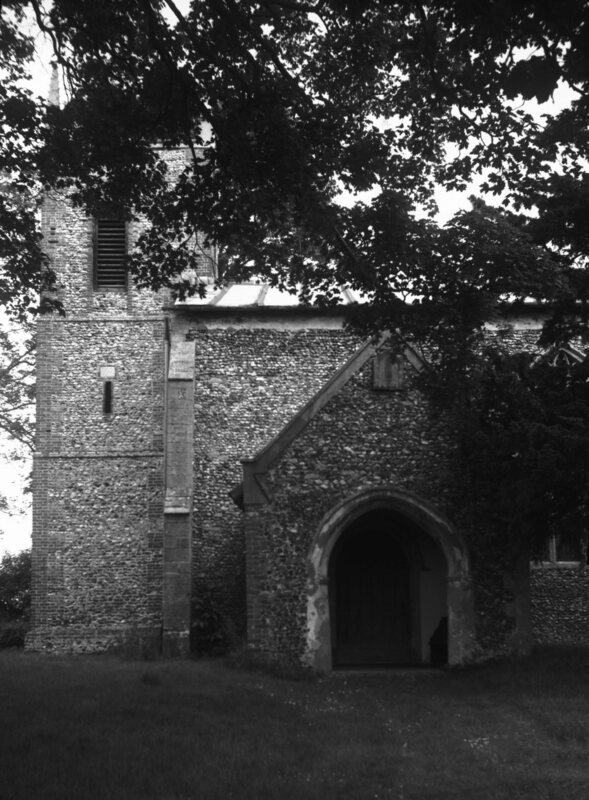 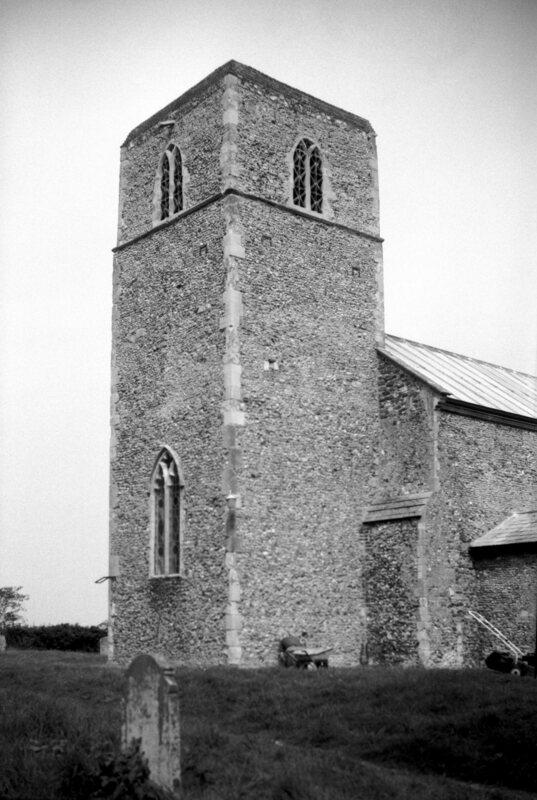 South porch and stair turret to tower. 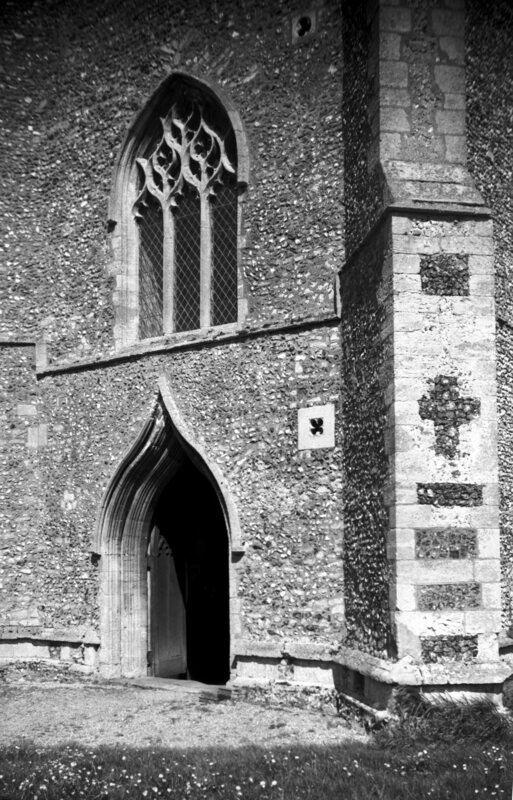 Of flint with much brick trim. 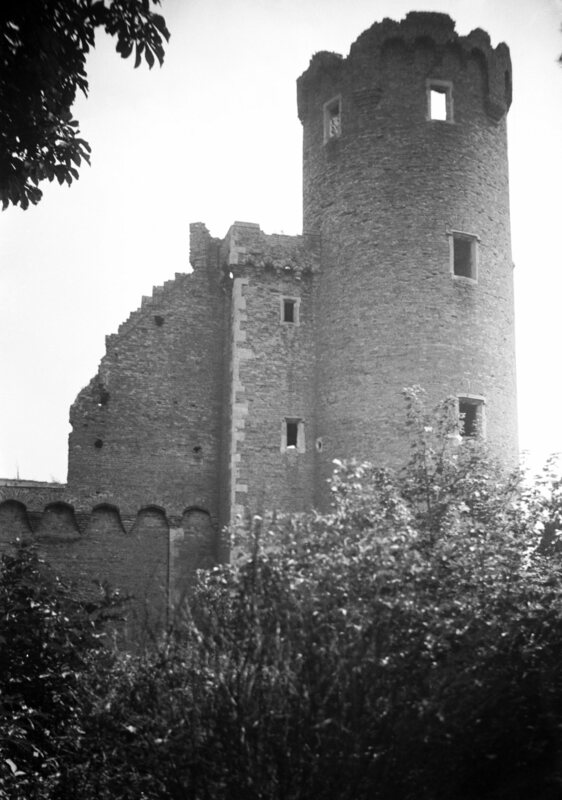 Castle. 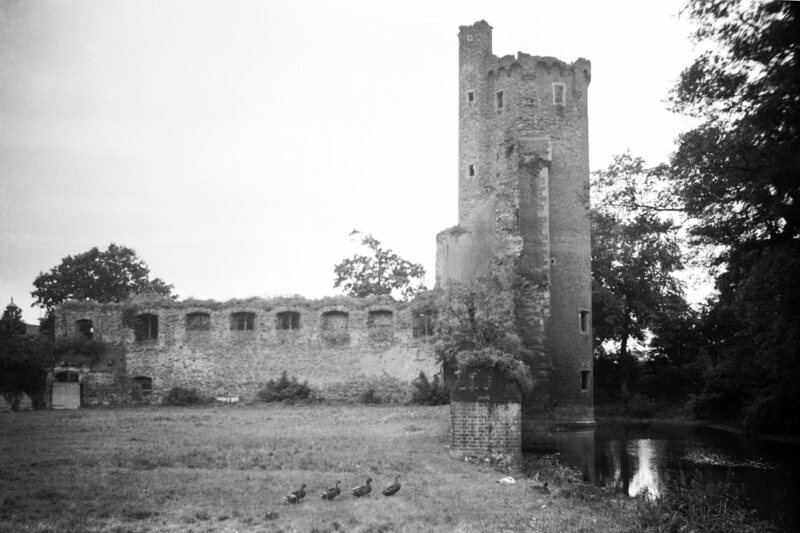 Founded soon after 1066 by William de Warenne, what was originally a country house was in the 12c reconstructed into a keep surrounded by greatly strengthened defences. 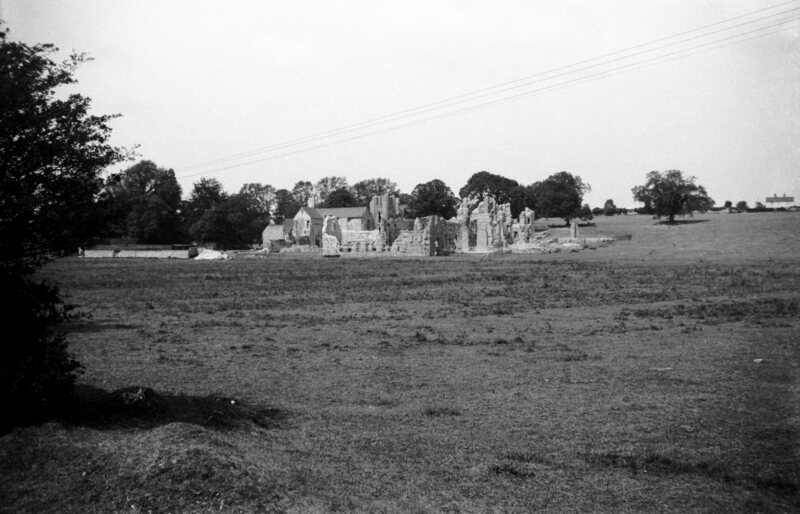 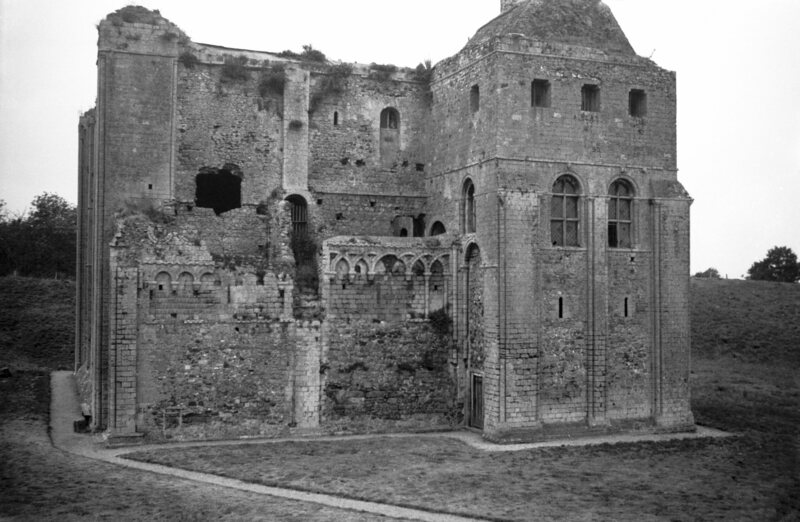 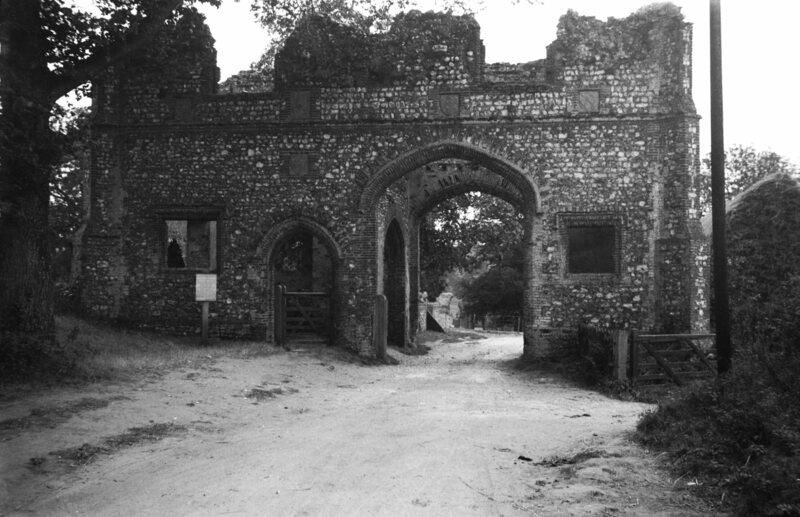 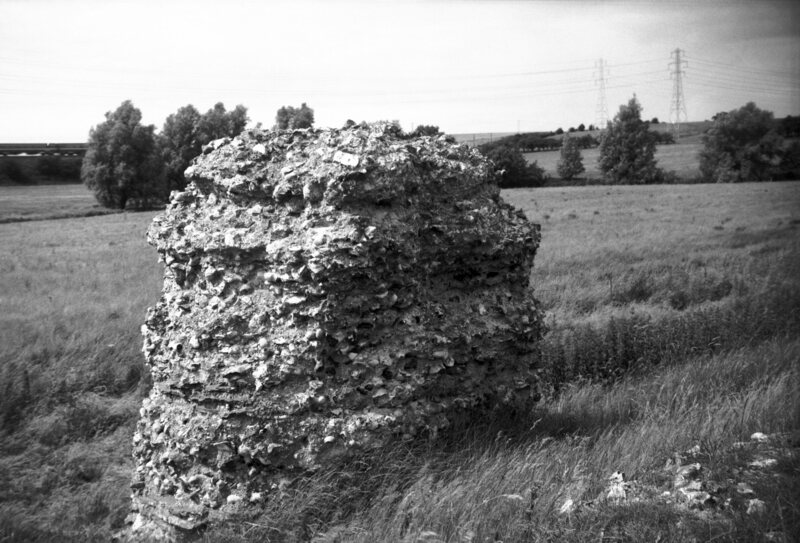 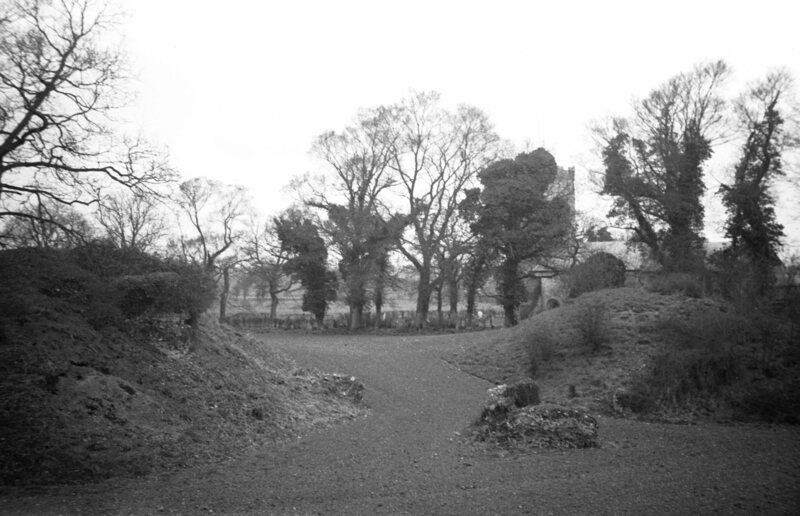 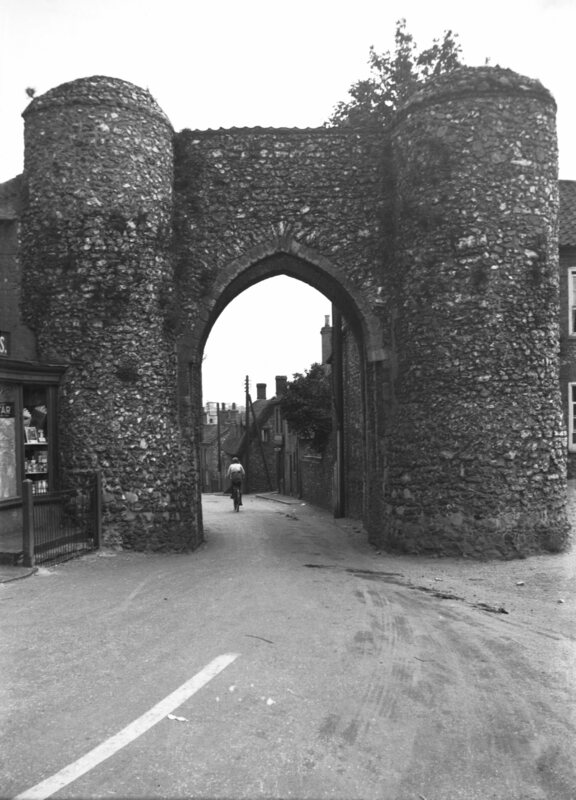 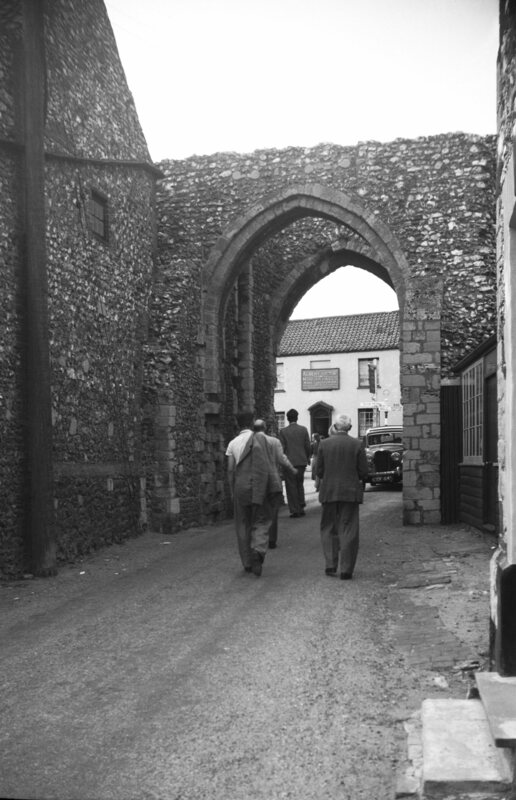 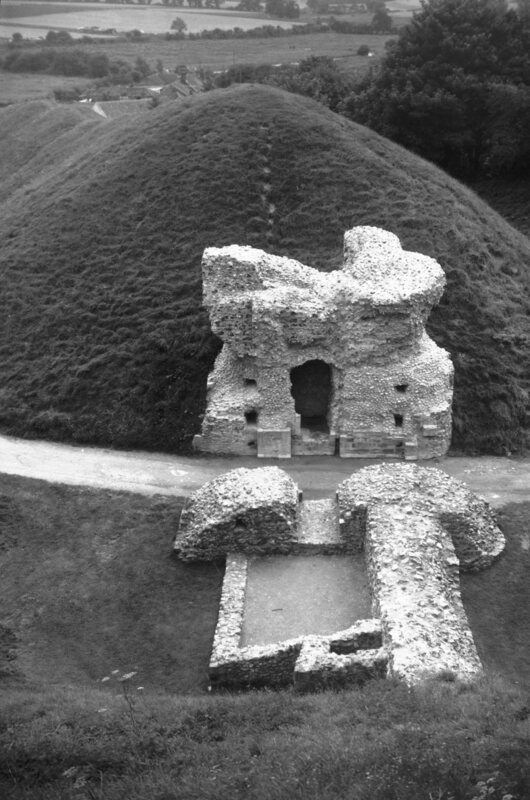 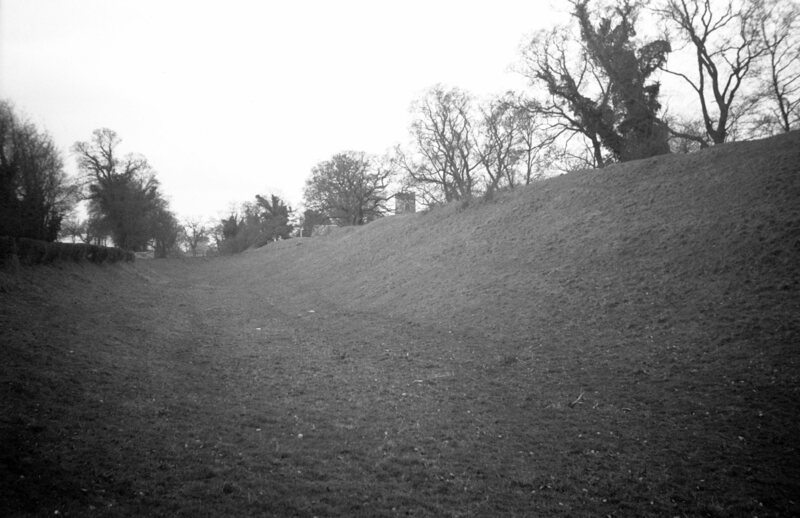 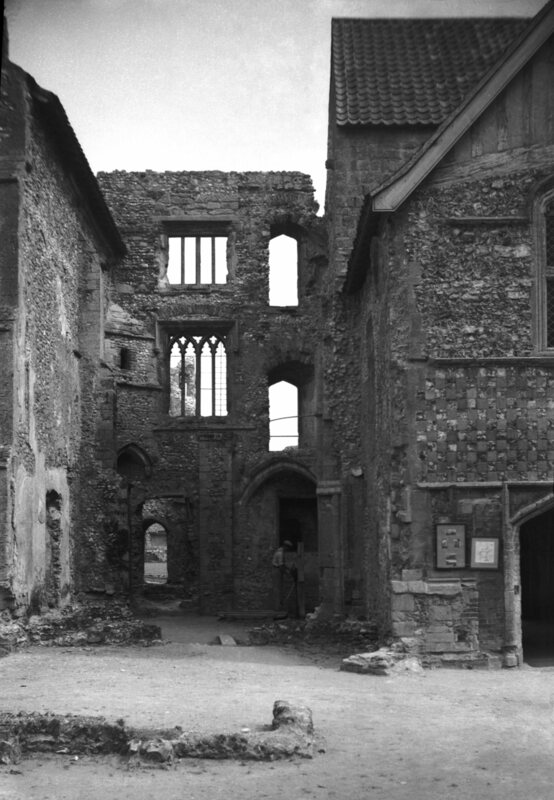 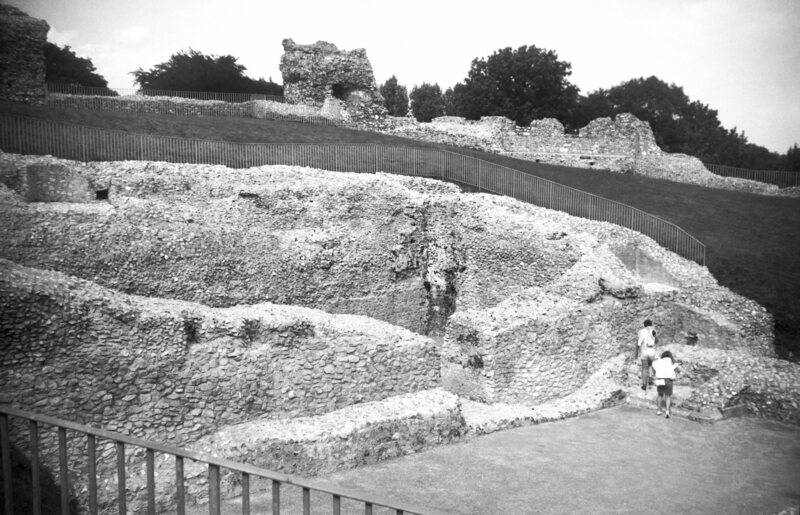 The site probably became derelict in the 14c. 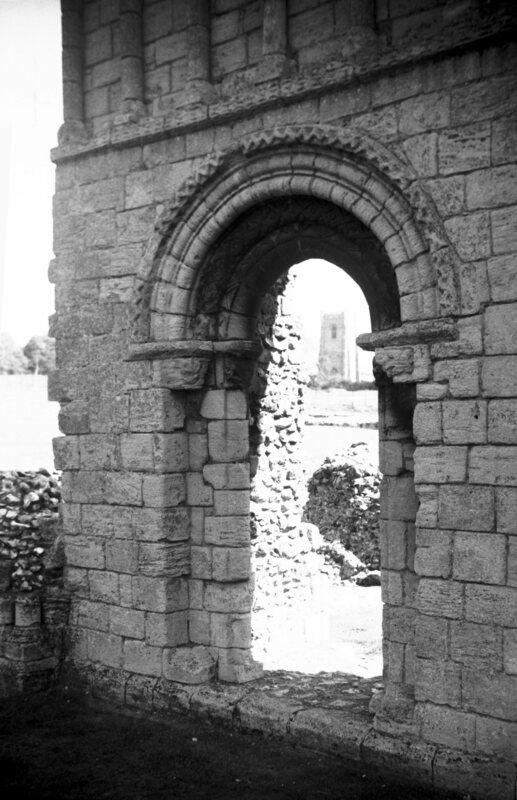 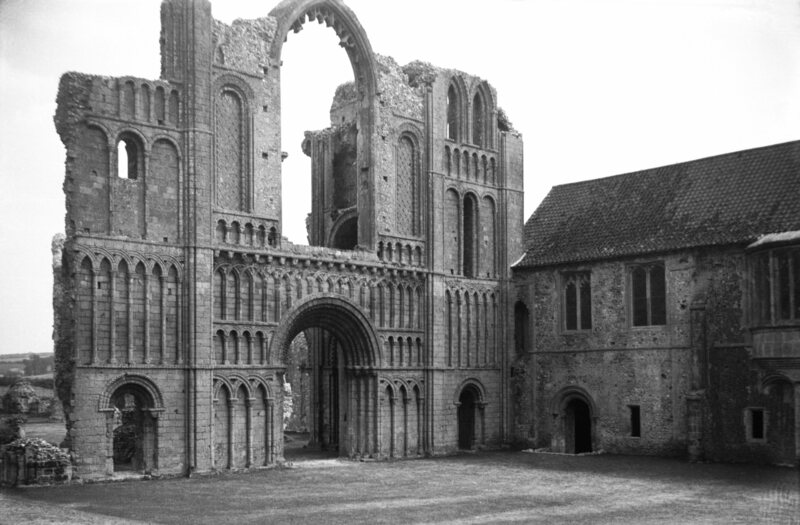 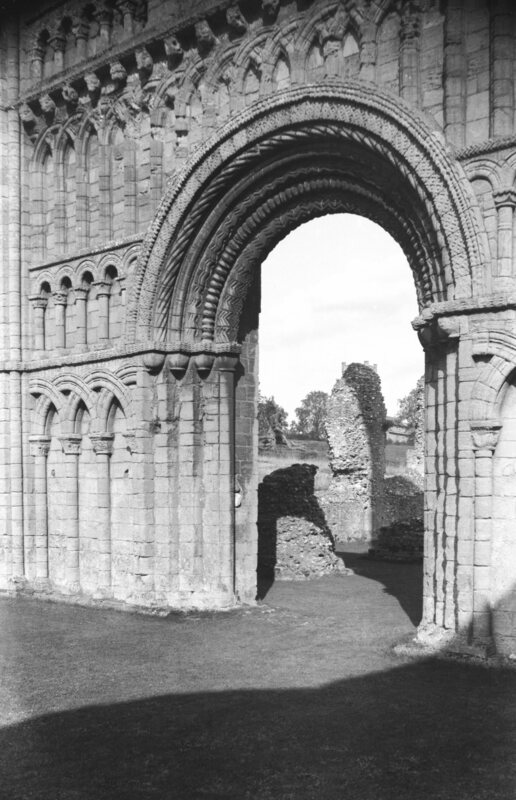 Cluniac priory. 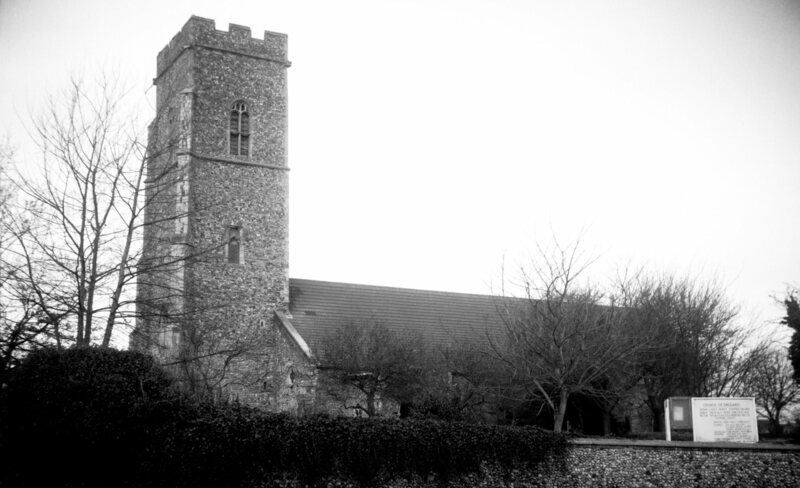 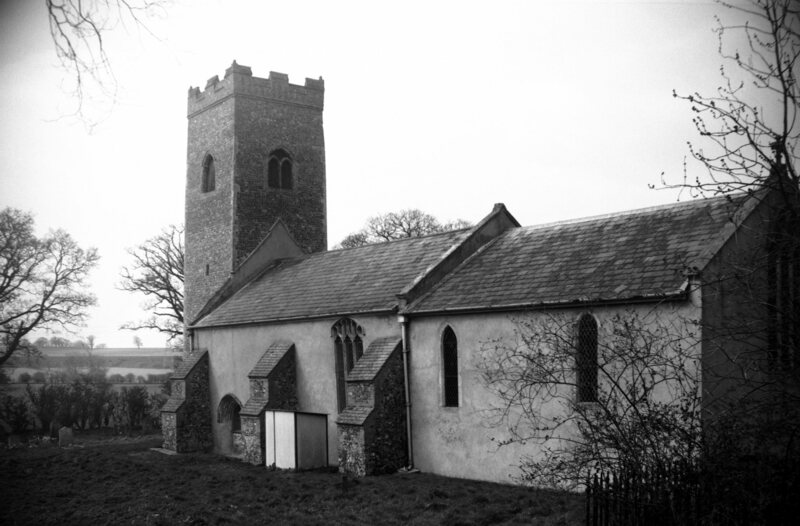 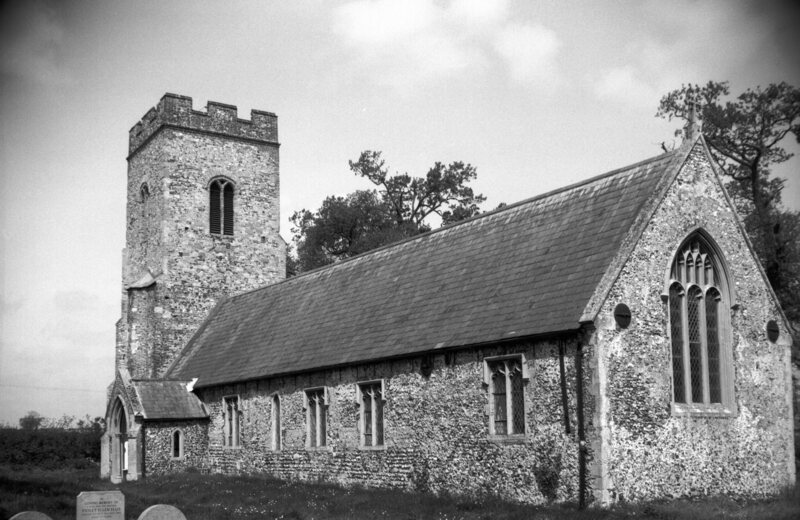 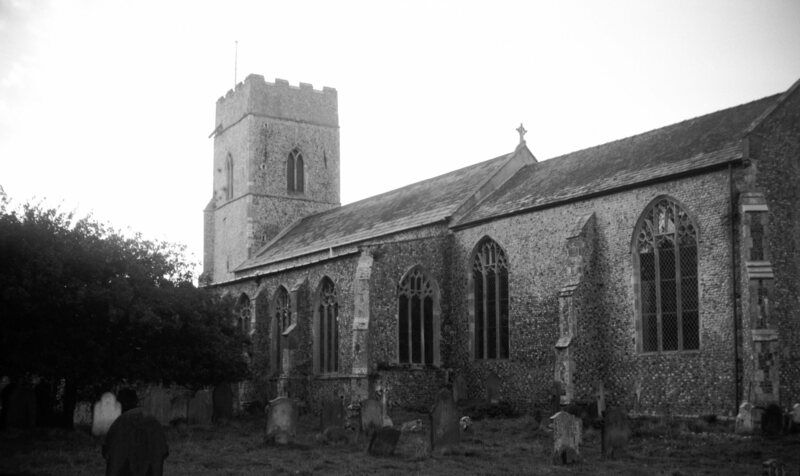 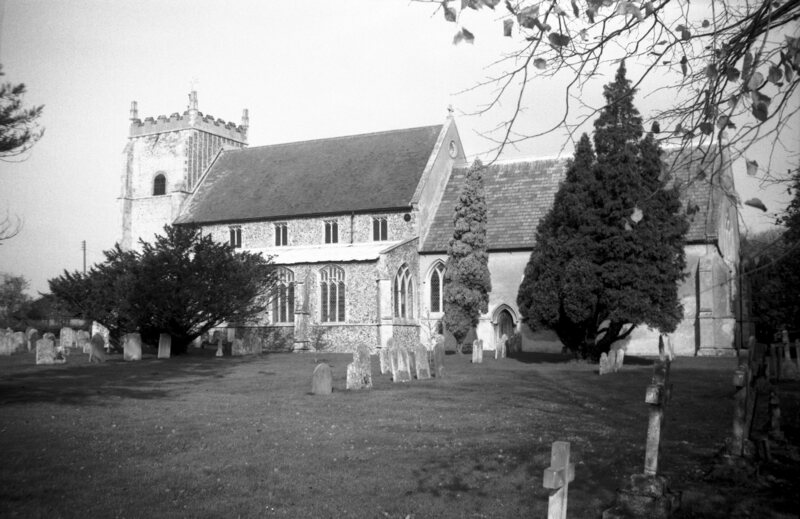 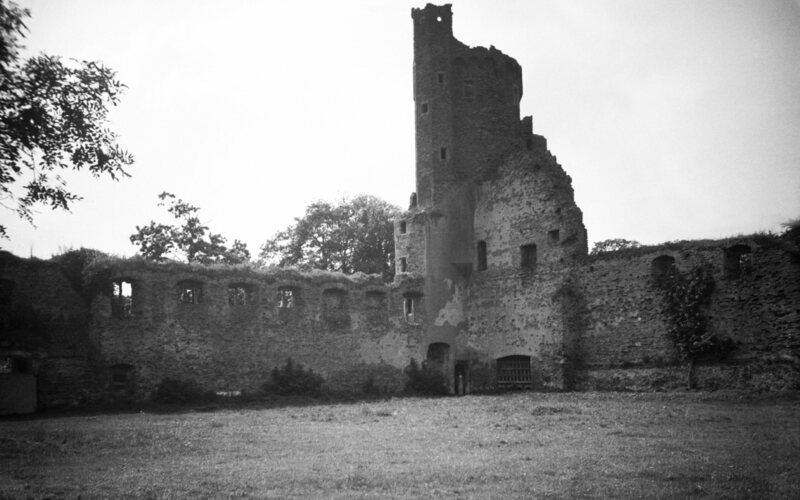 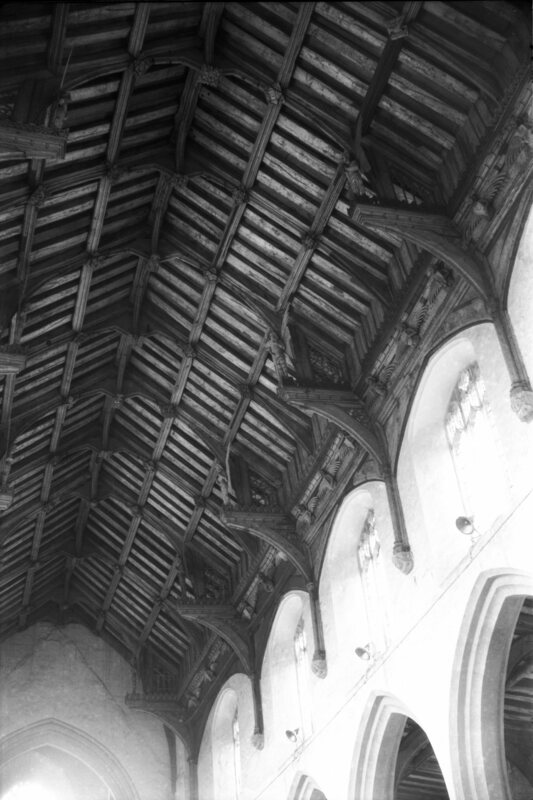 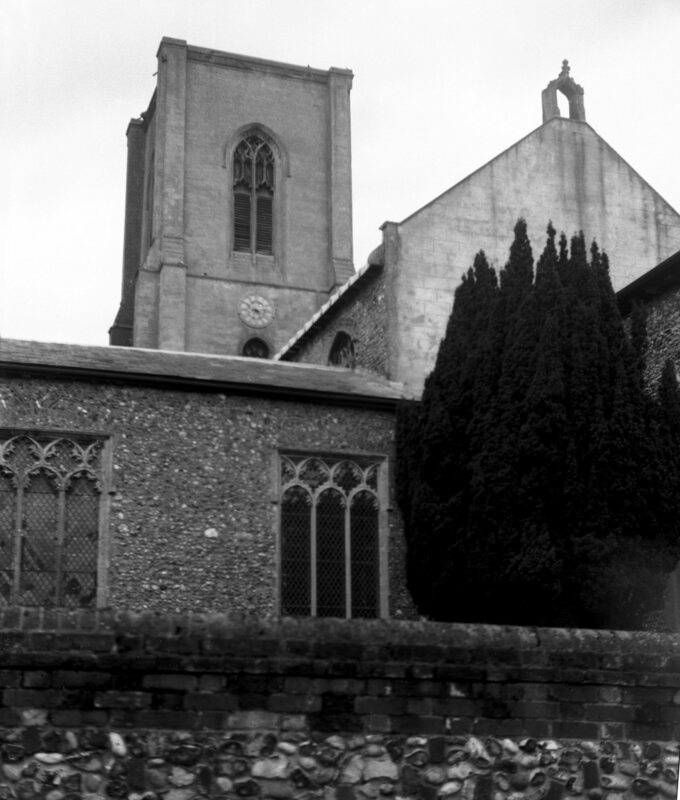 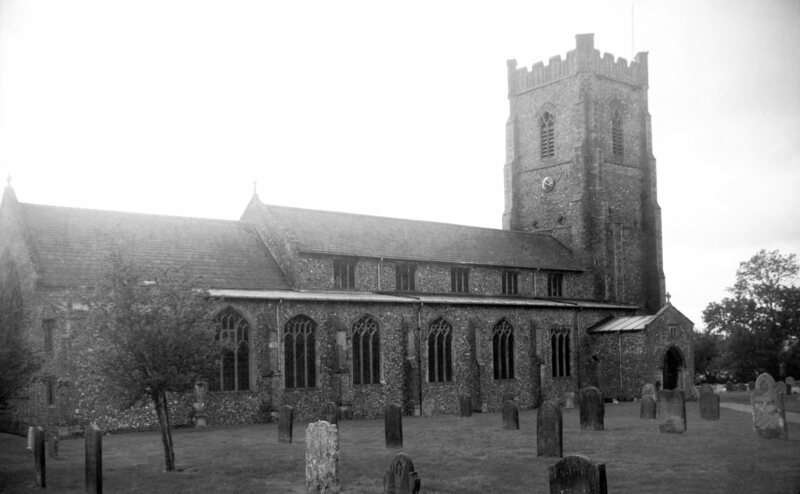 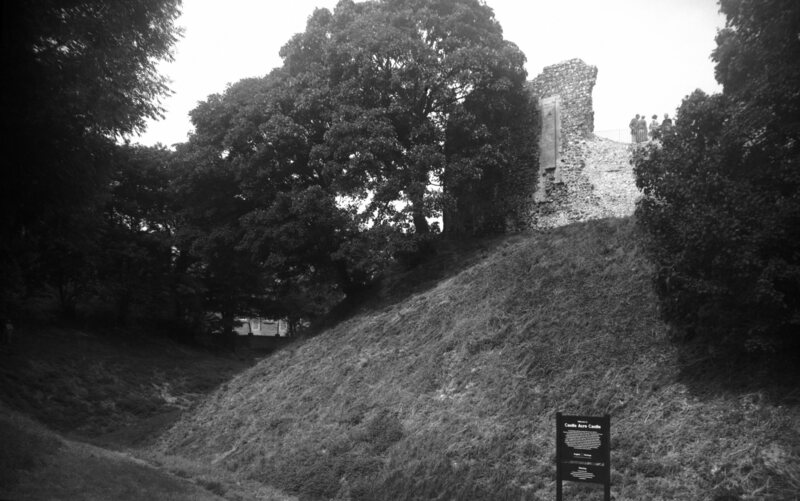 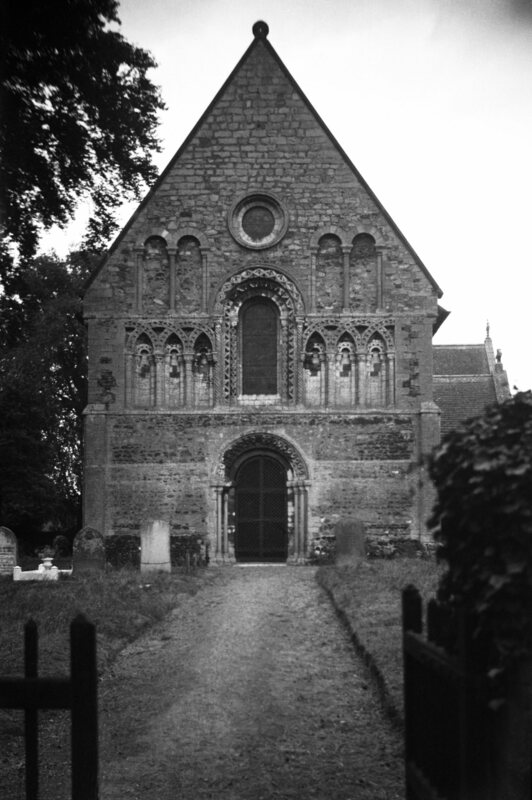 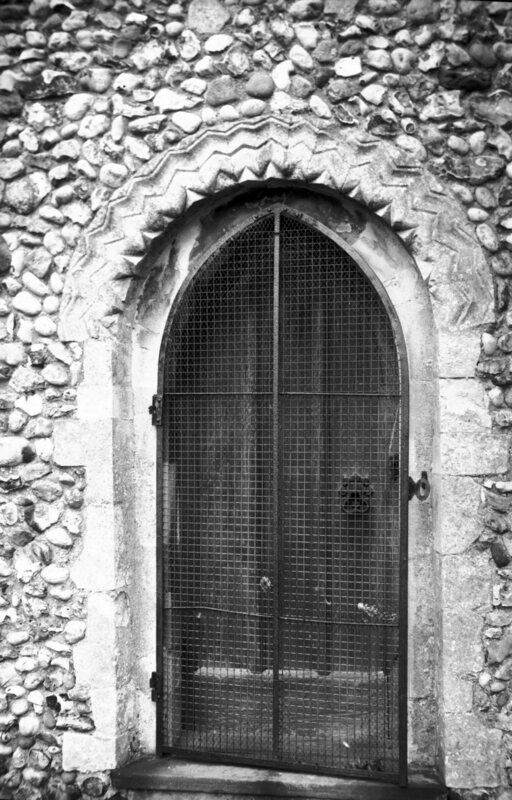 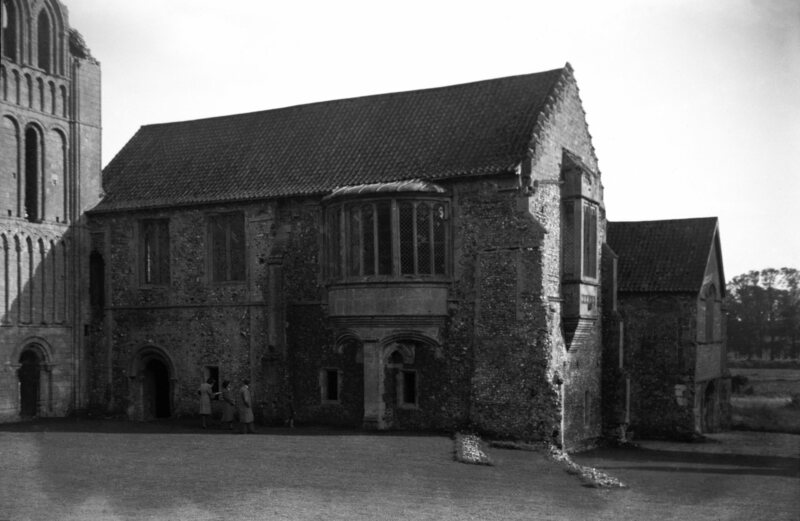 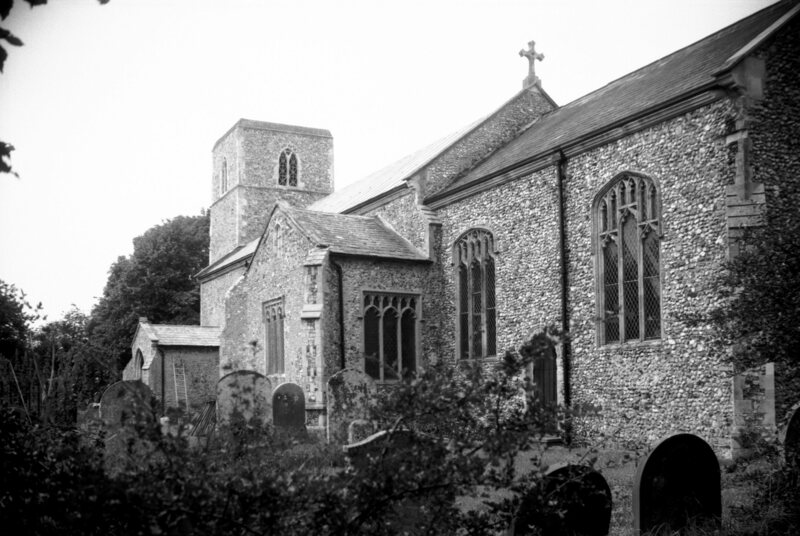 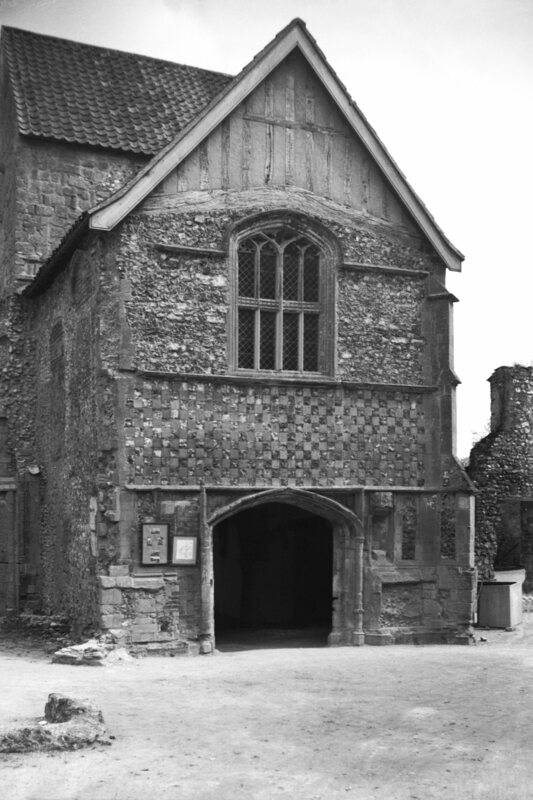 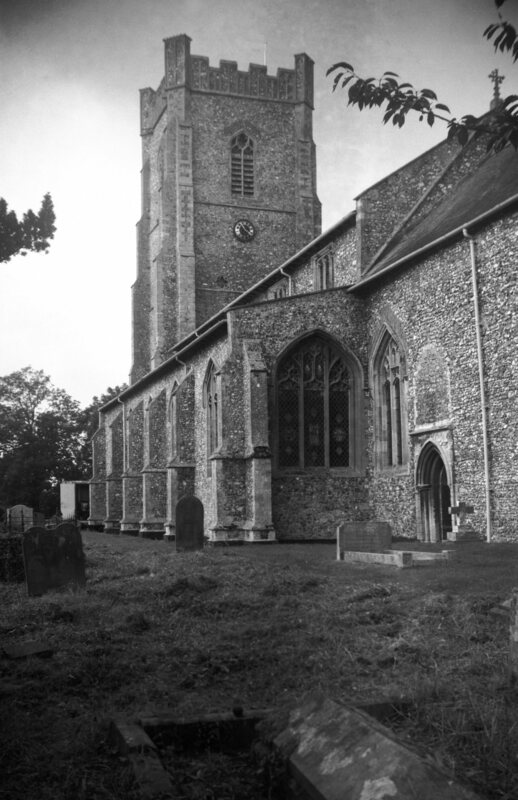 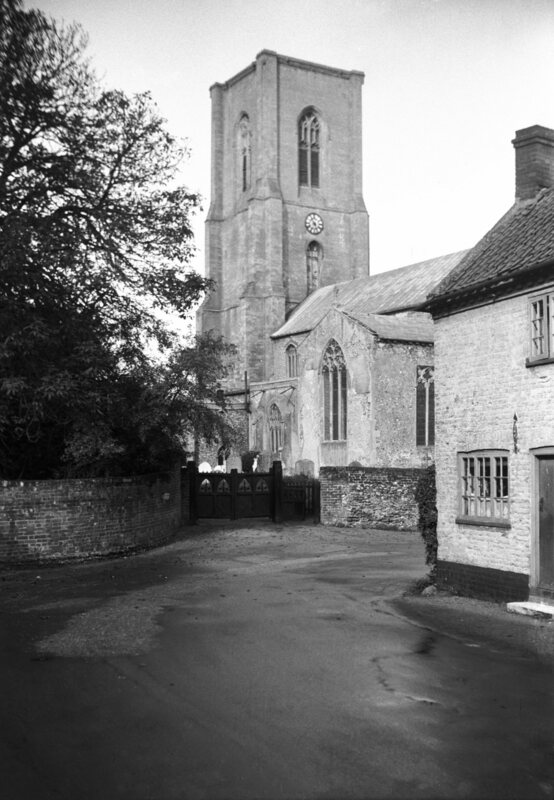 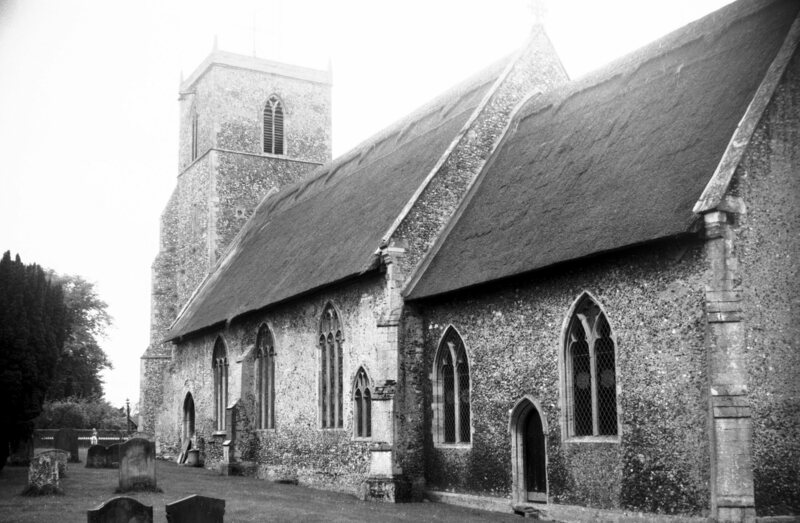 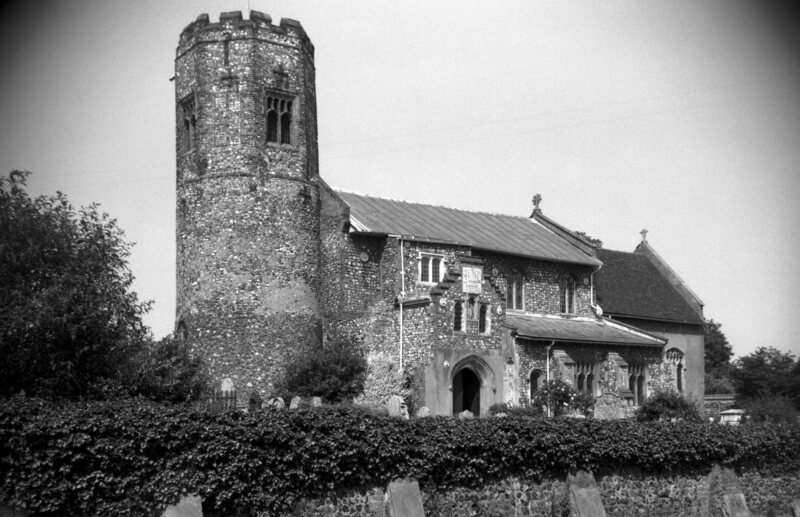 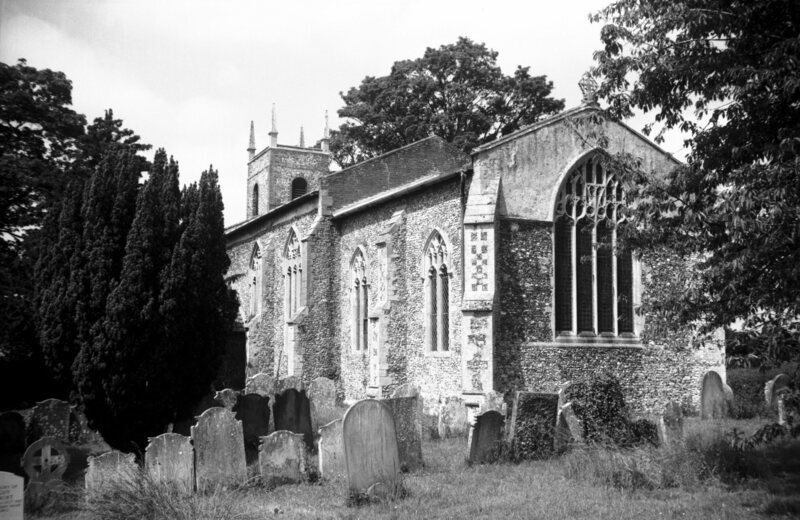 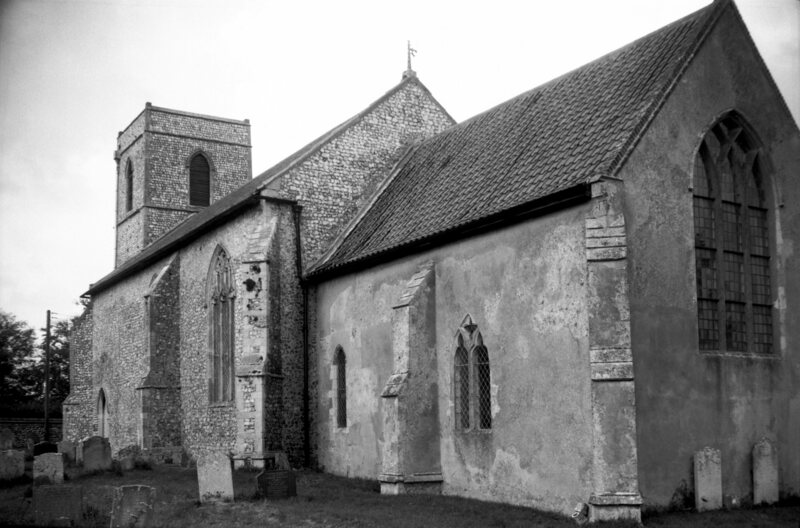 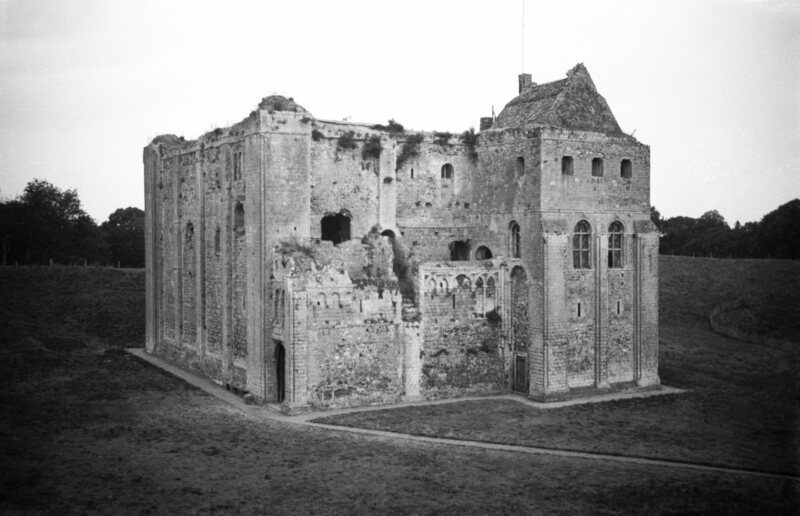 Founded around 1090 by William de Warenne II. 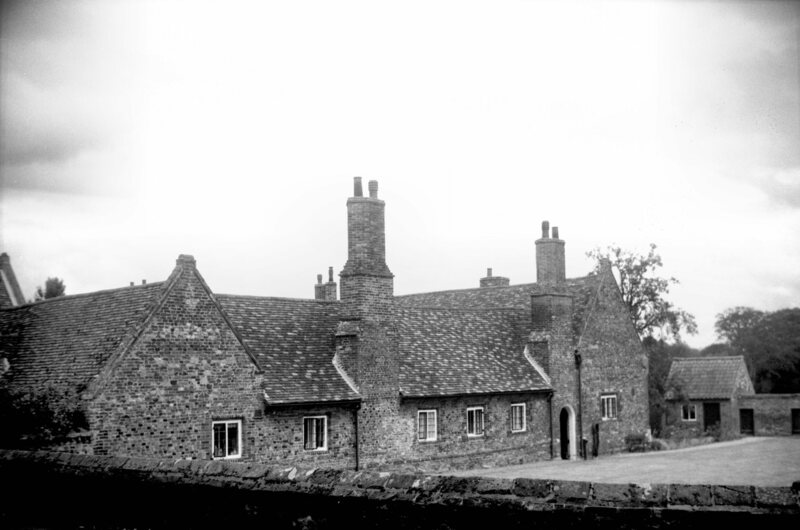 North side of prior's lodge. 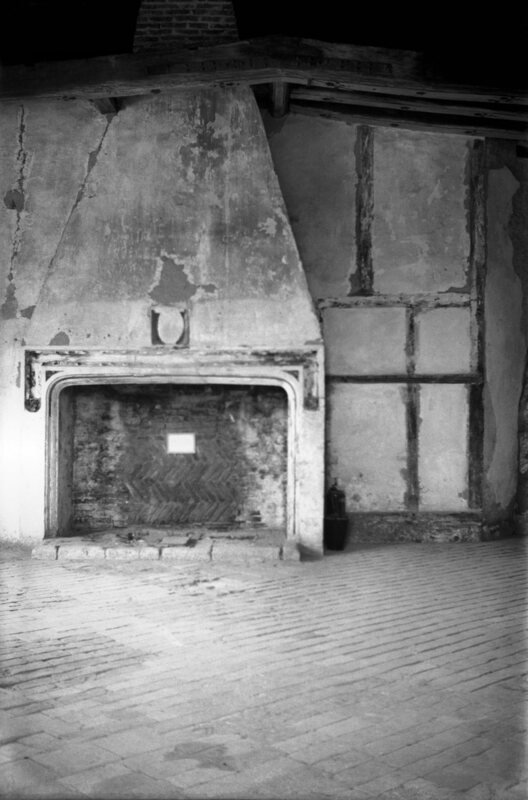 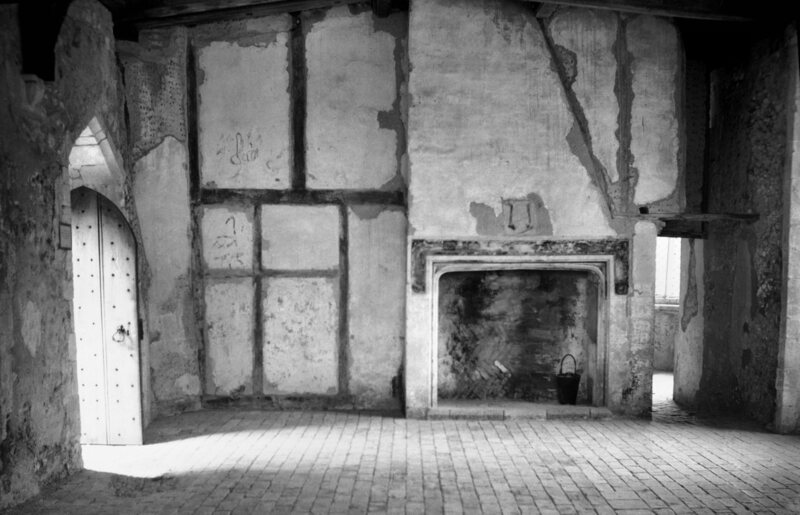 East wall of prior's lodge parlour. 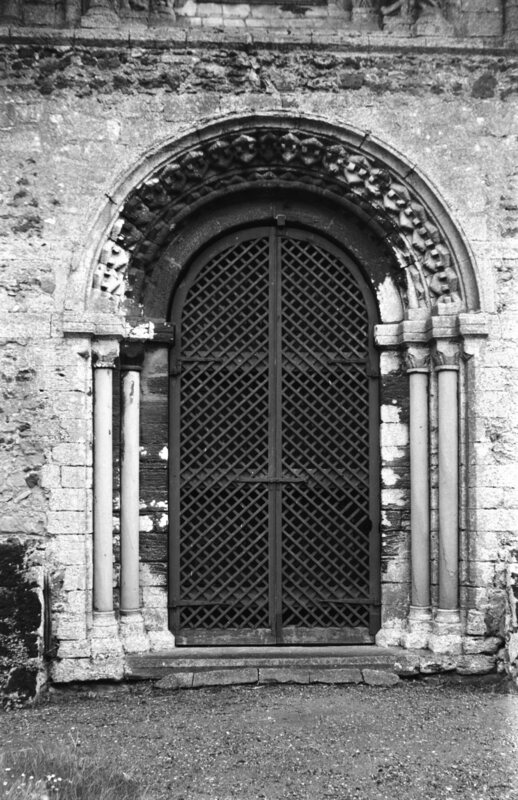 Built in the 12c by William d'Albini. 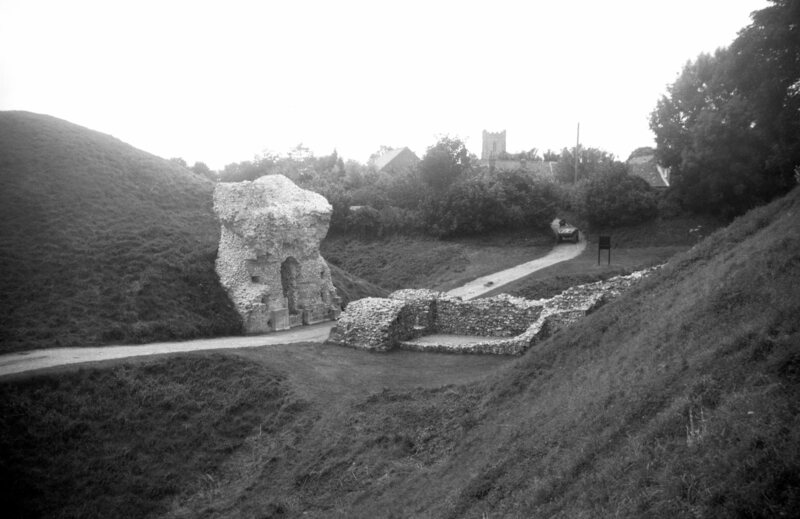 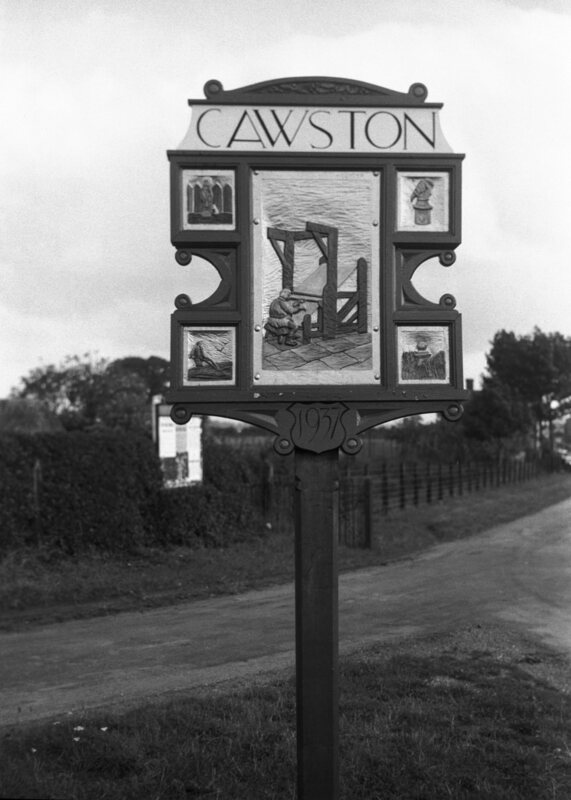 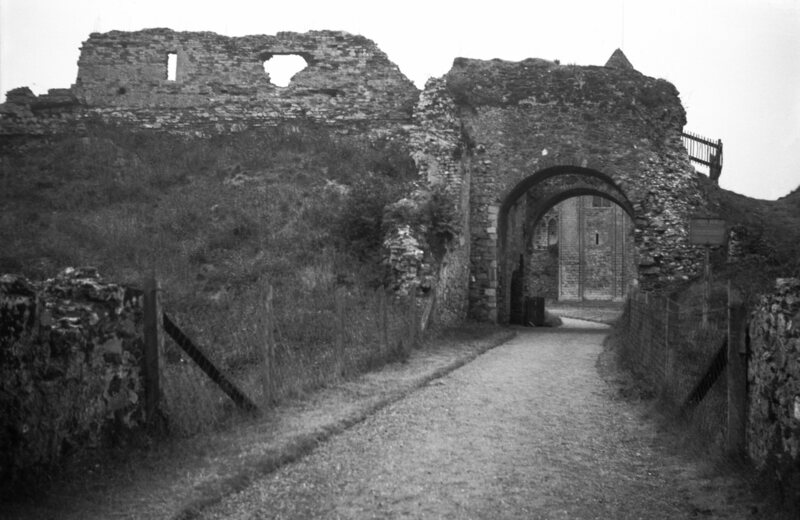 Inhabited in the 14c by Isabella, Dowager Queen of England. 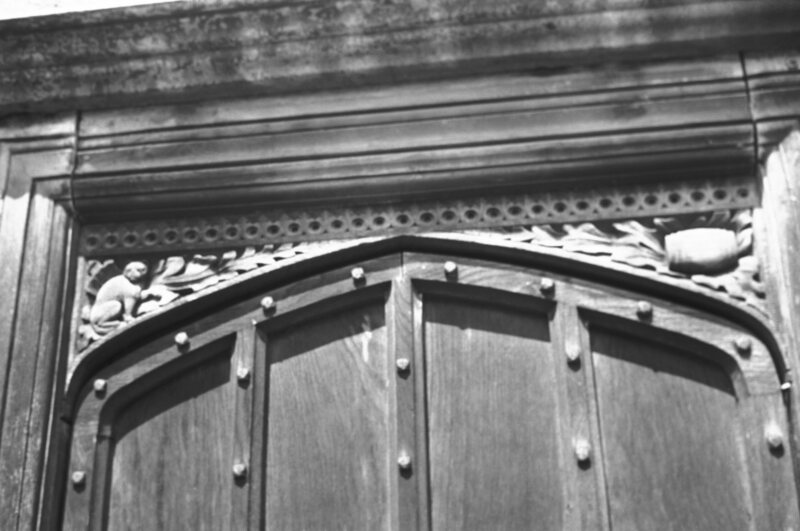 At head of main entrance staircase. 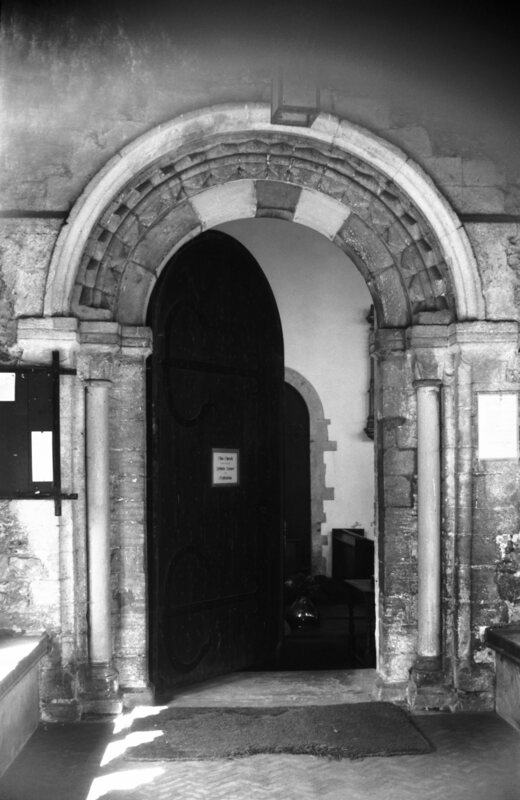 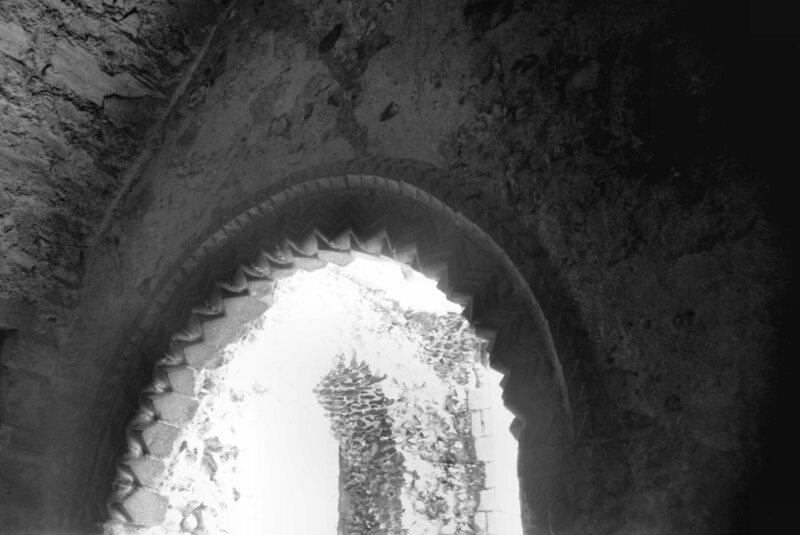 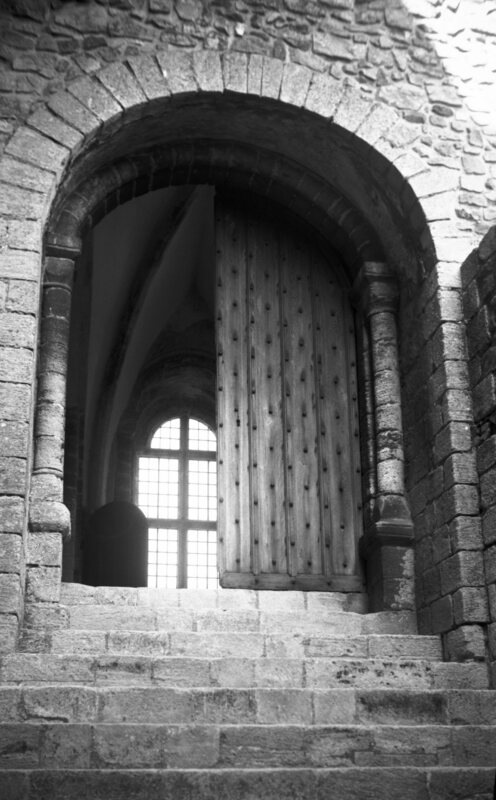 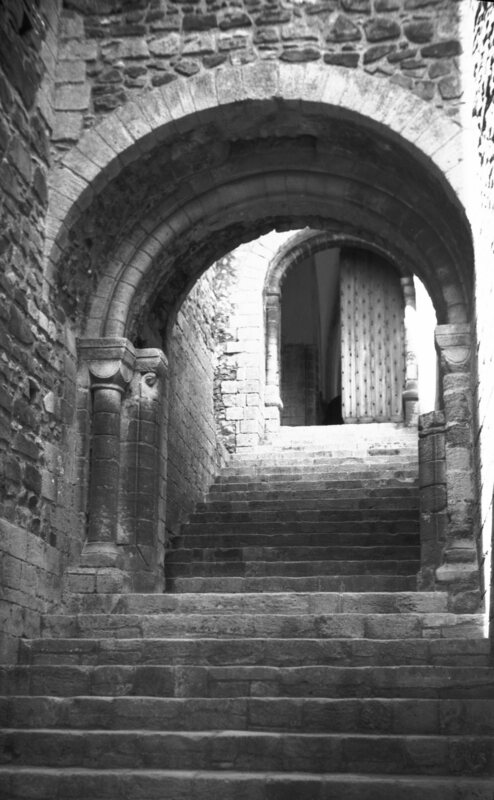 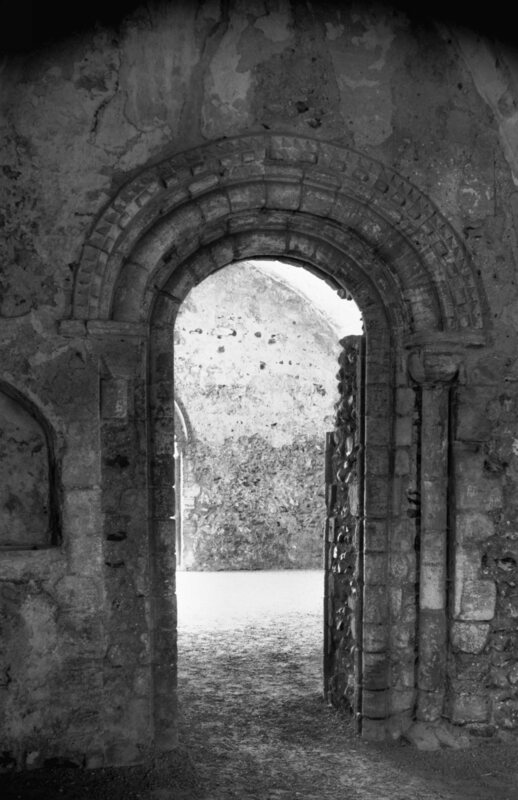 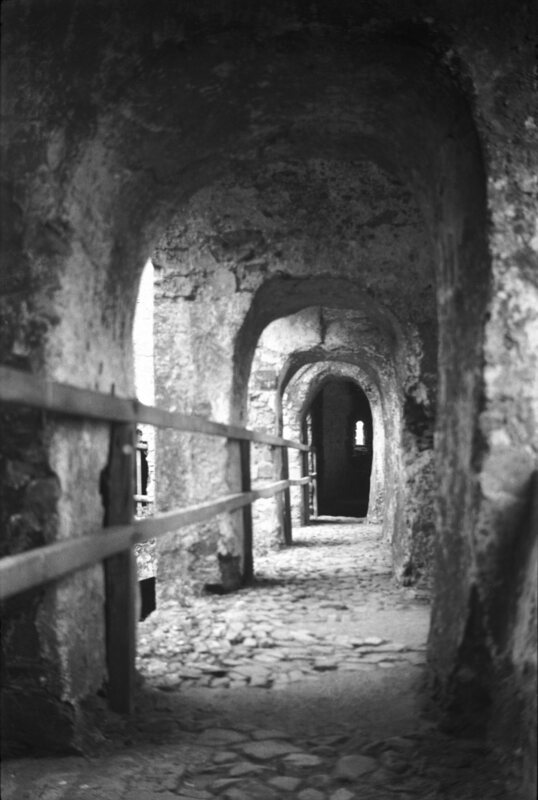 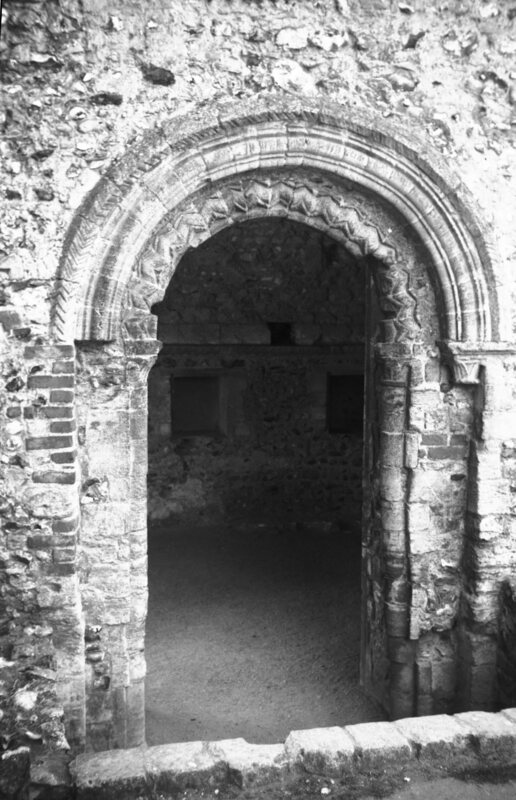 Archway and vaulting to recess in upper room. 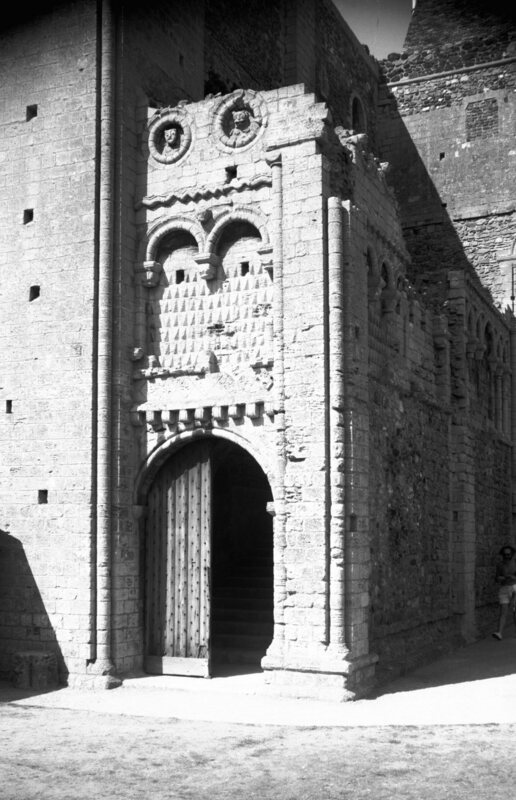 Grand entrance to banqueting hall. 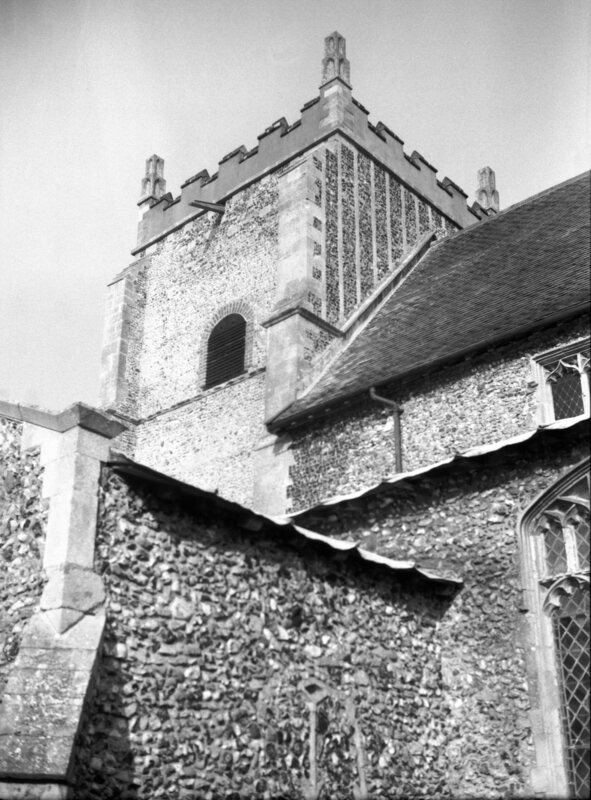 And fragments of other worked stones, on south side of church. 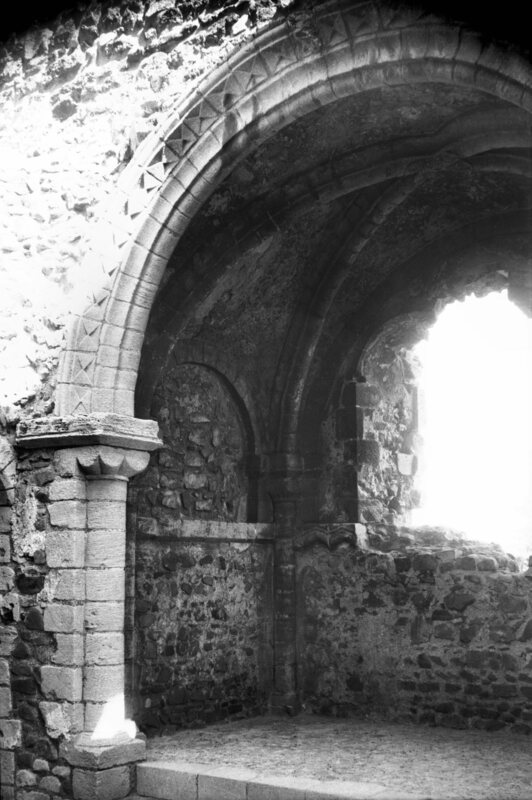 There is faint evidence of wall paintings above the nave arcades. 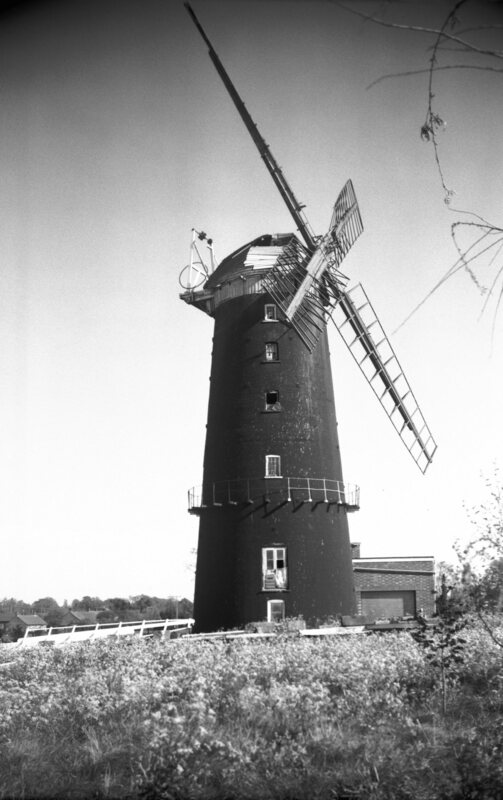 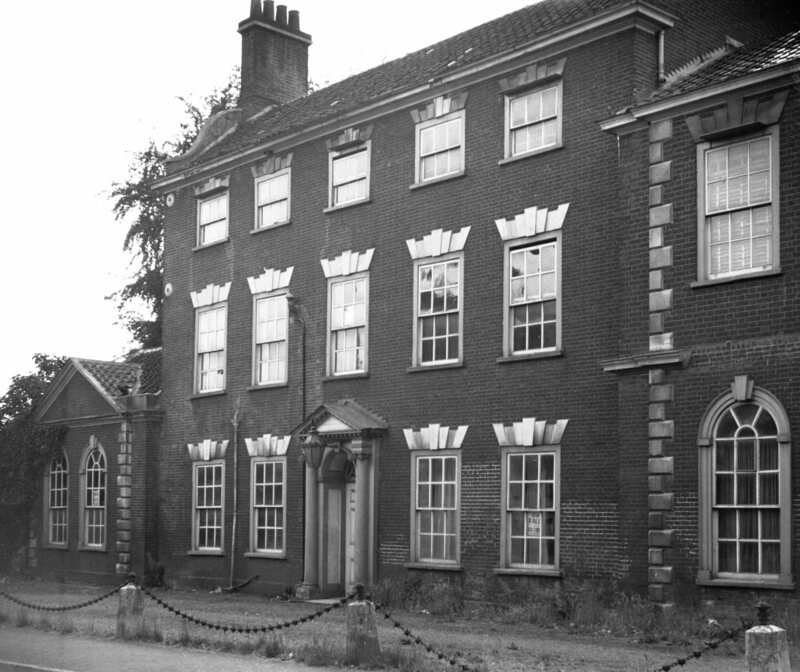 Built by Jeremiah Ives, mayor of Norwich in 1786 and 1801. 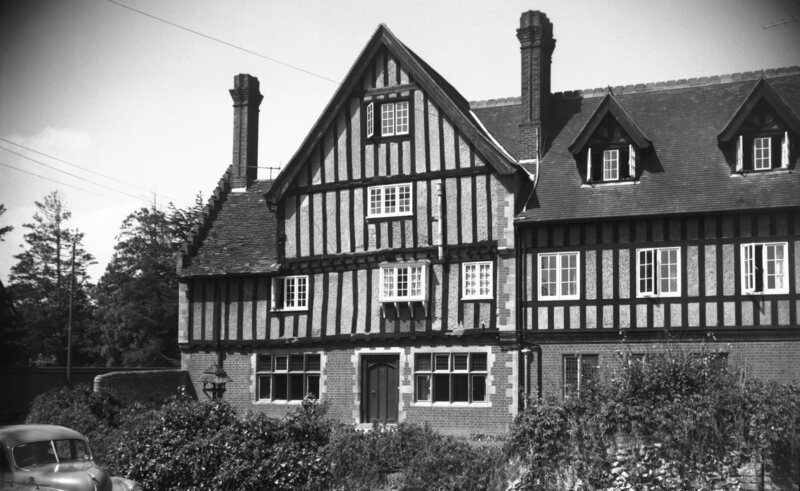 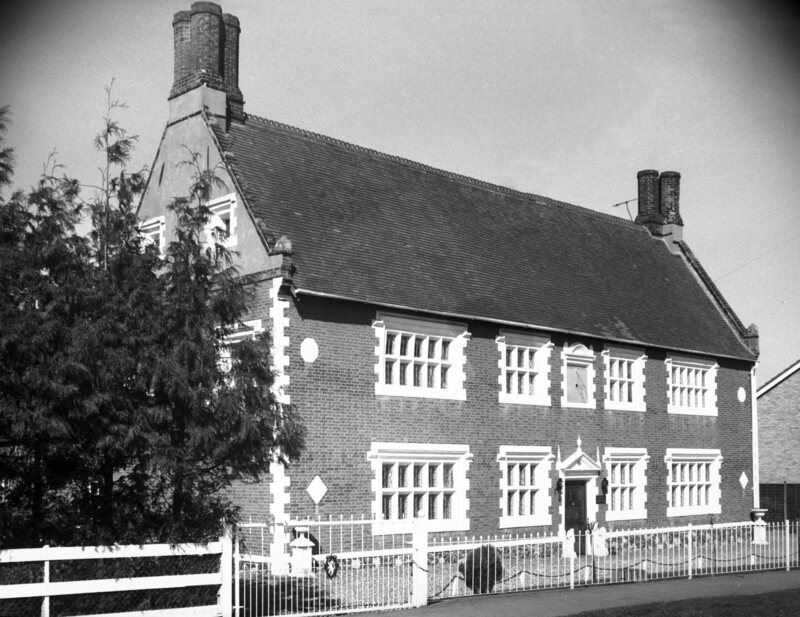 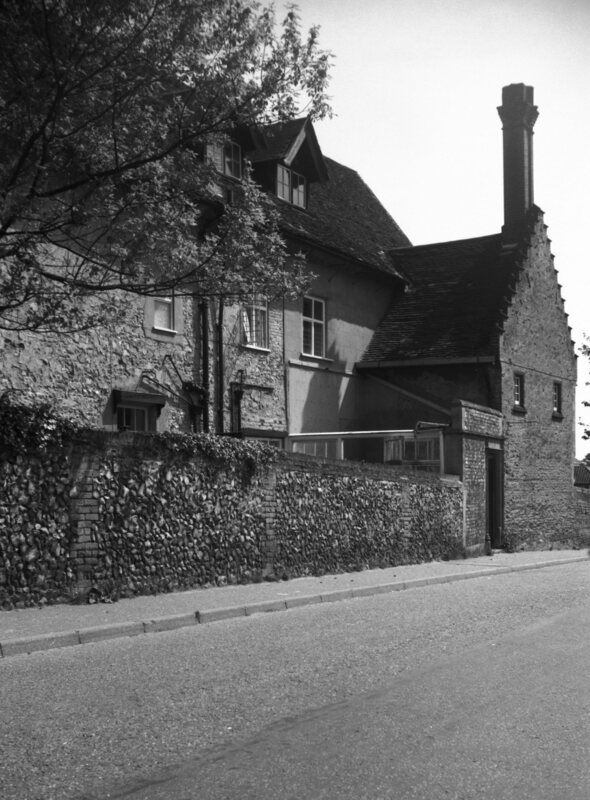 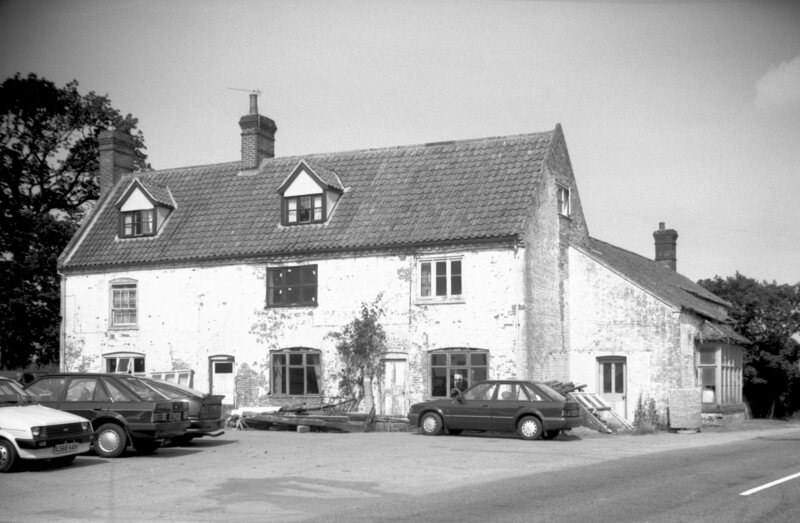 The Manor House, or Prior's Grange, in Church Street. 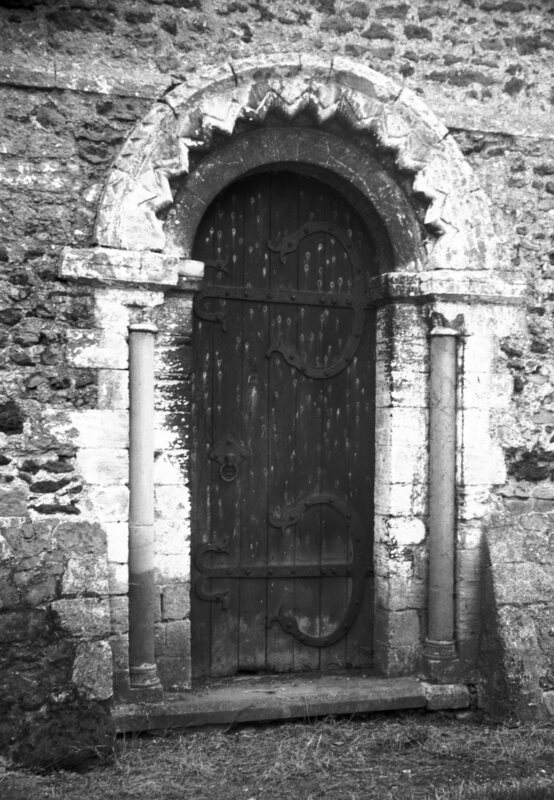 Has initials I B and date 1632 on a stone in the north wall. 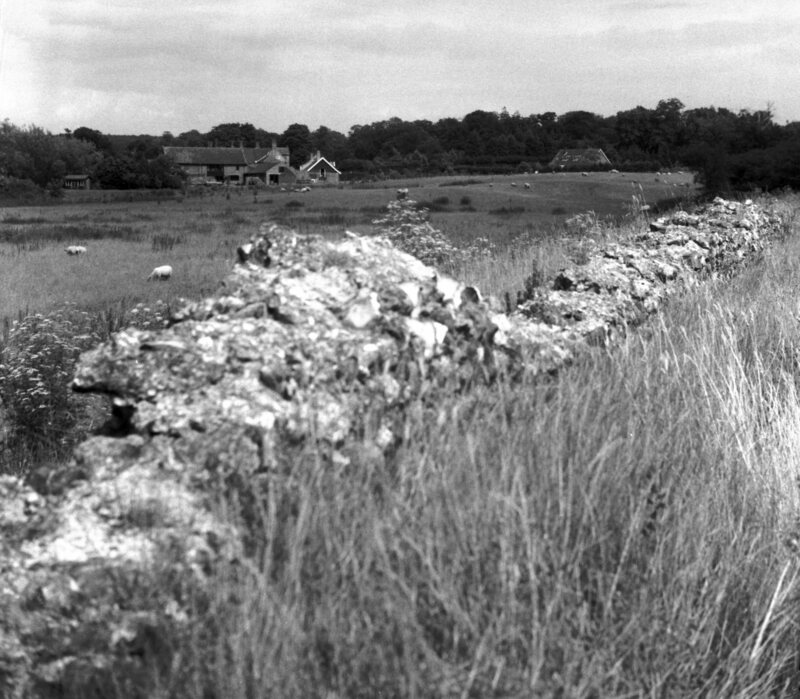 North side of Lodge Lane. 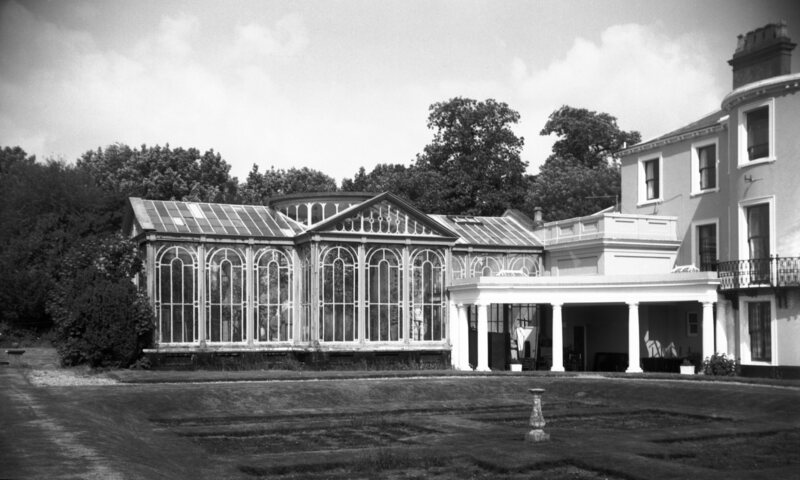 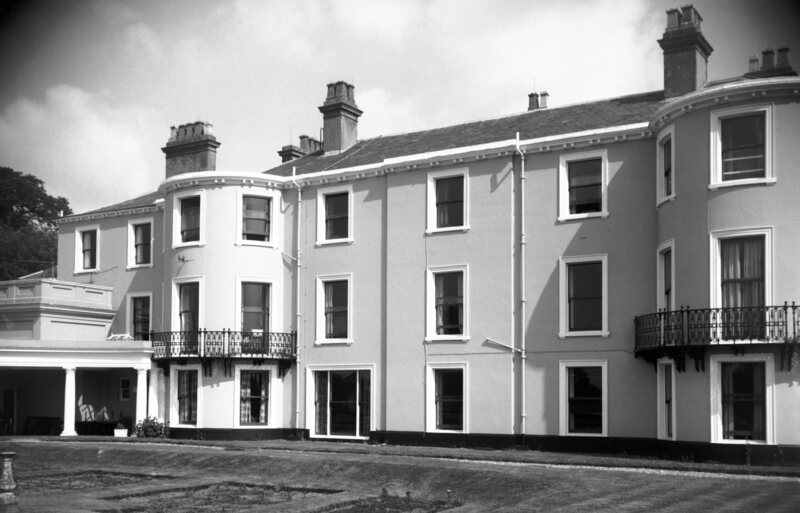 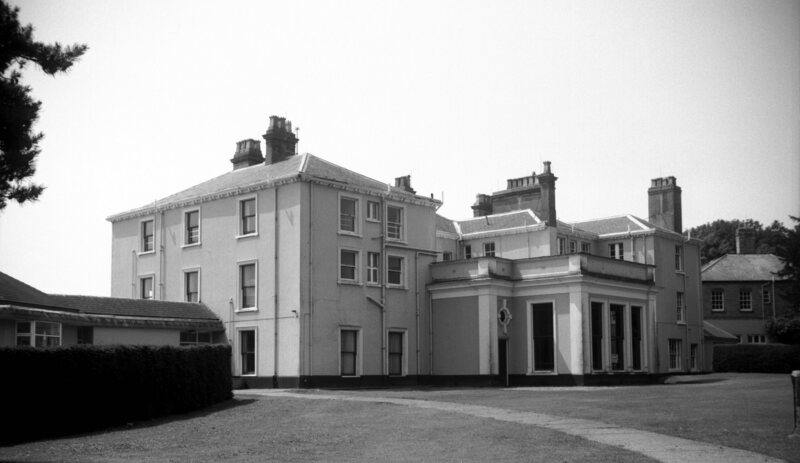 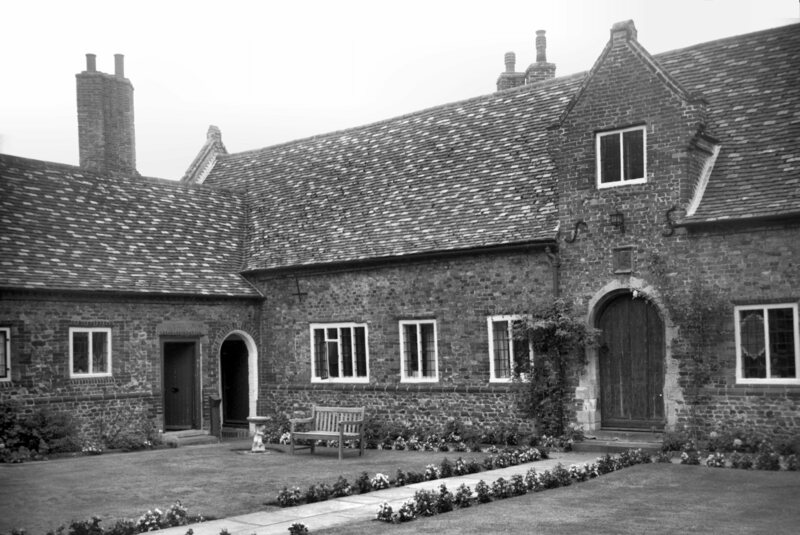 Once said to have been occupied by Sir Samuel Bignold. 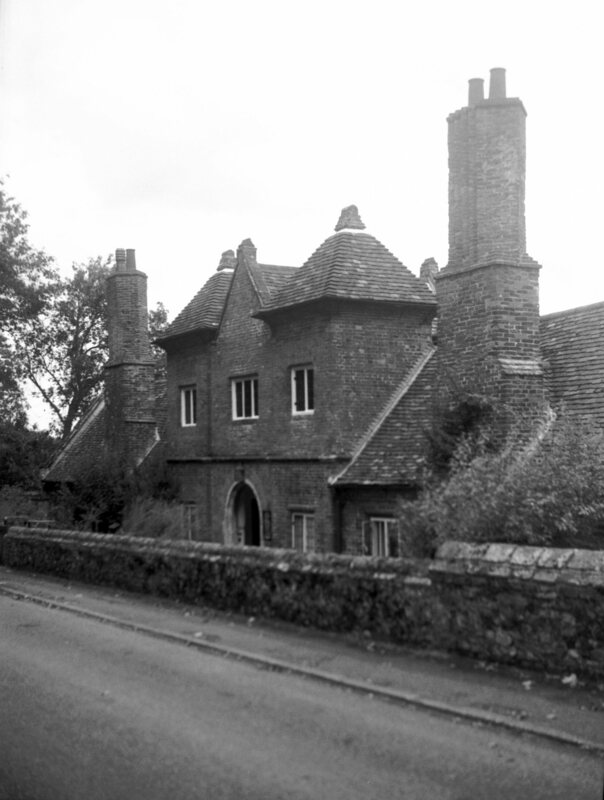 Spixworth Rd. 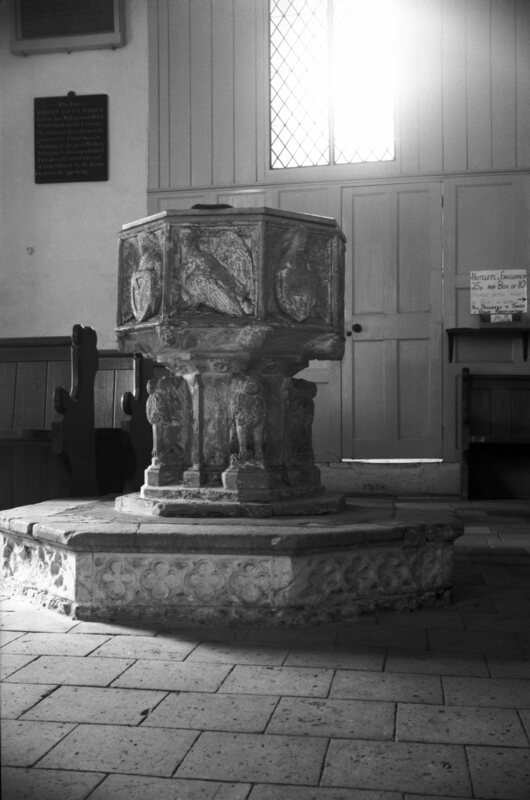 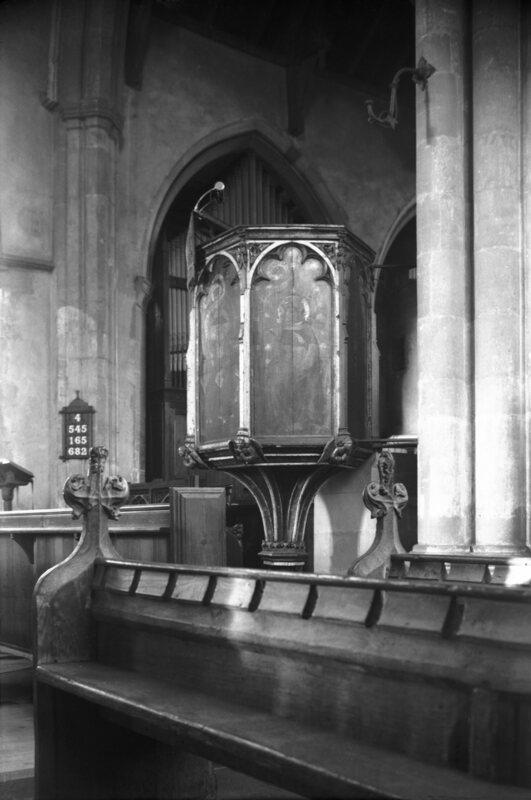 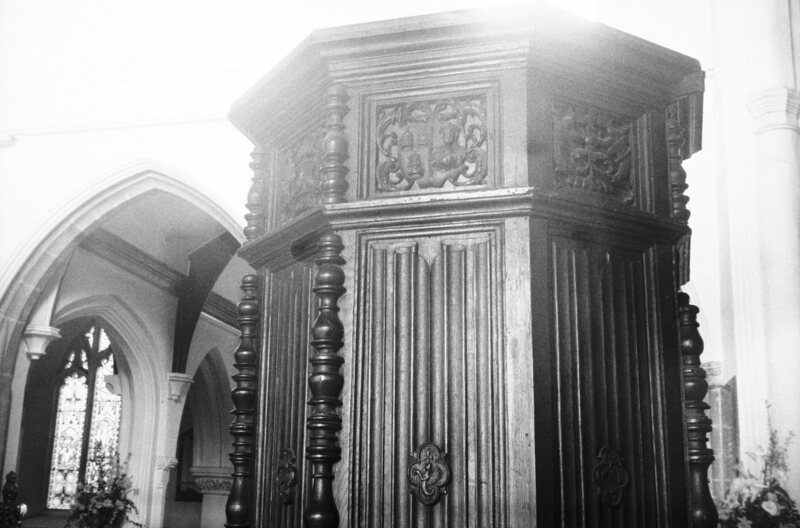 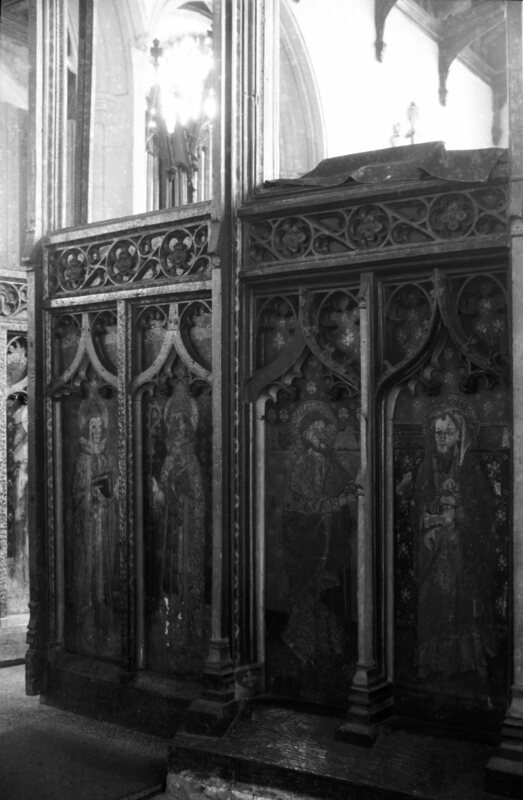 Pulpit dated 1537 and has the Arms of the Guilds of Norwich. 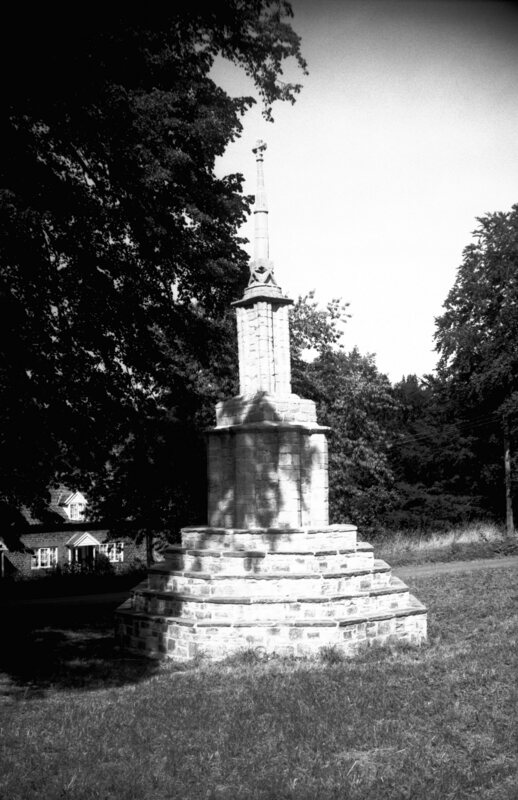 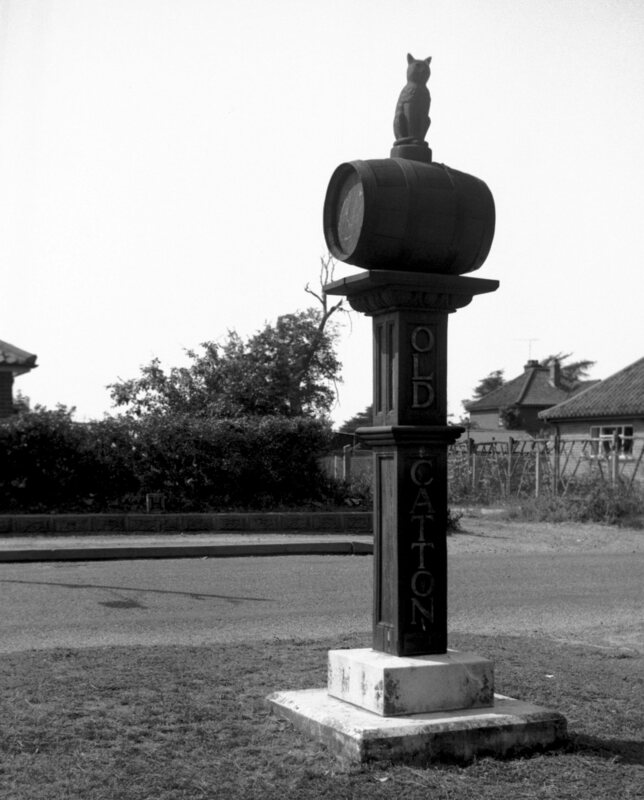 Marking the site of a duel between Oliver Le Neve and Sir Henry Hobart. 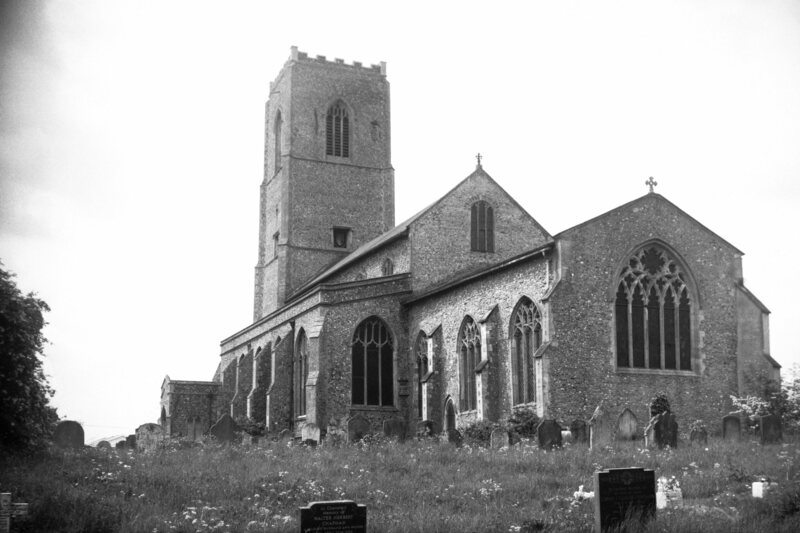 1698. 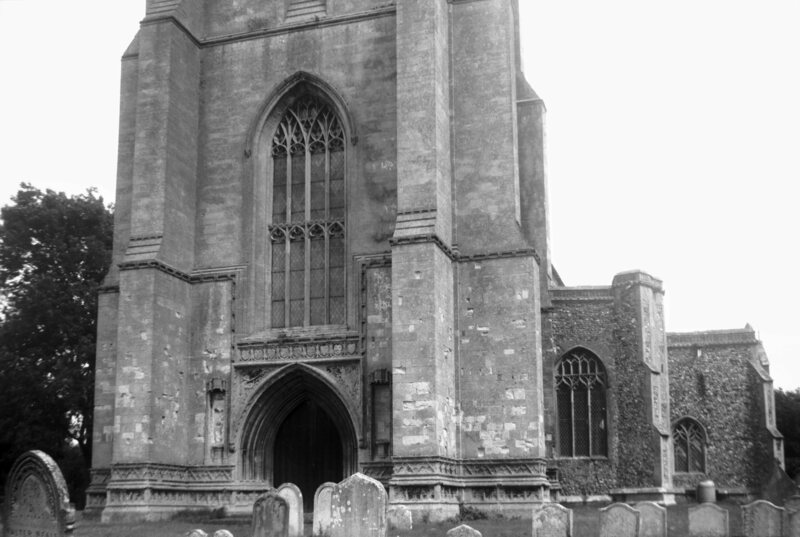 And west sides of south porch and transept. 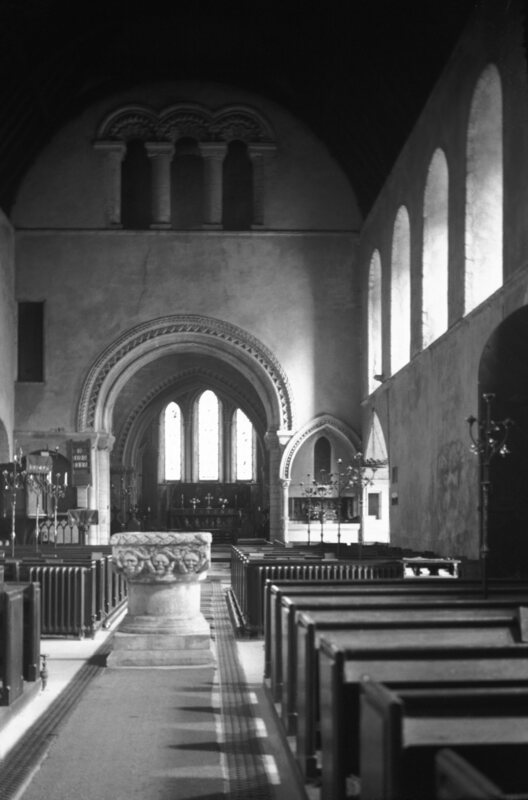 With inscription to Robert Oxburgh who built the aisle.